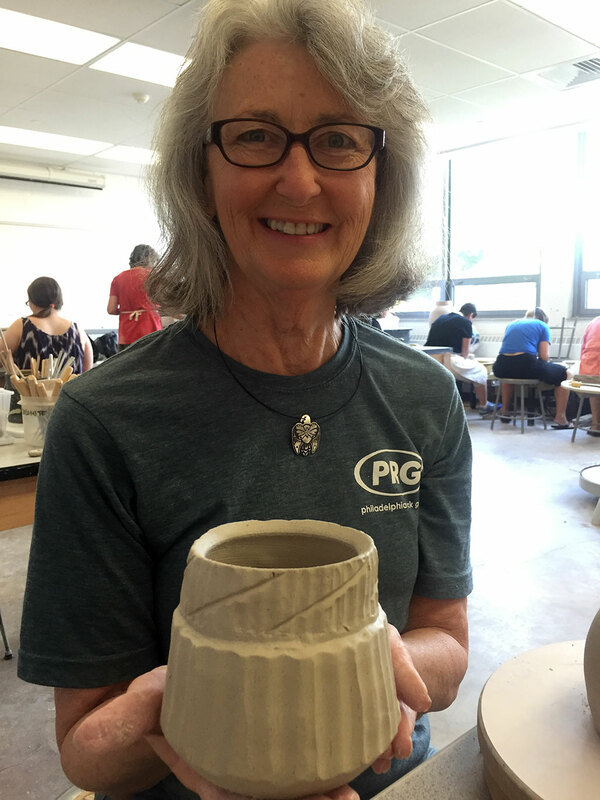 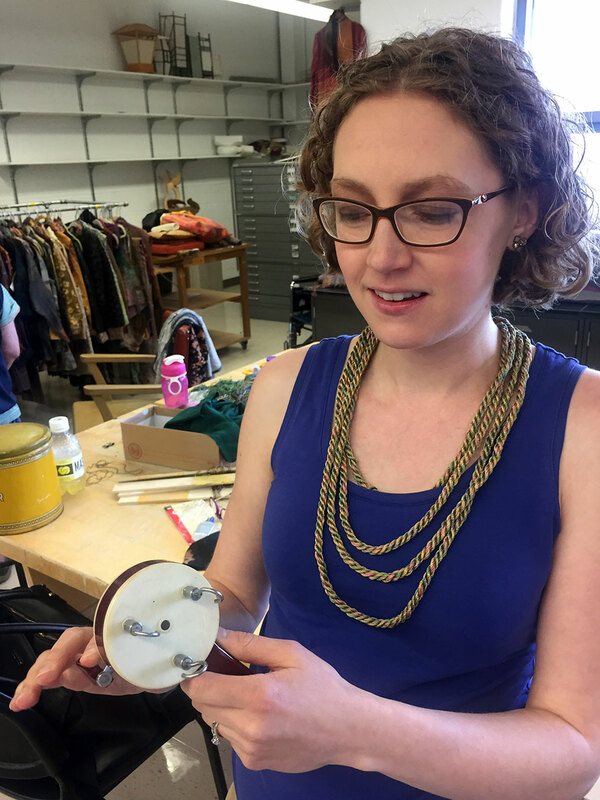 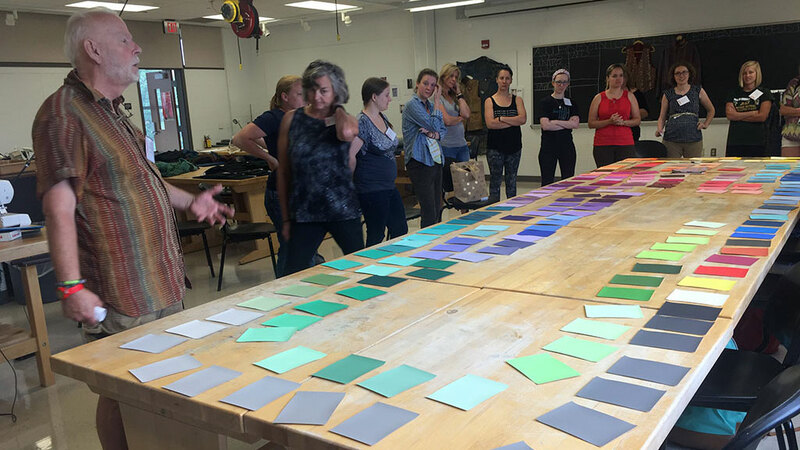 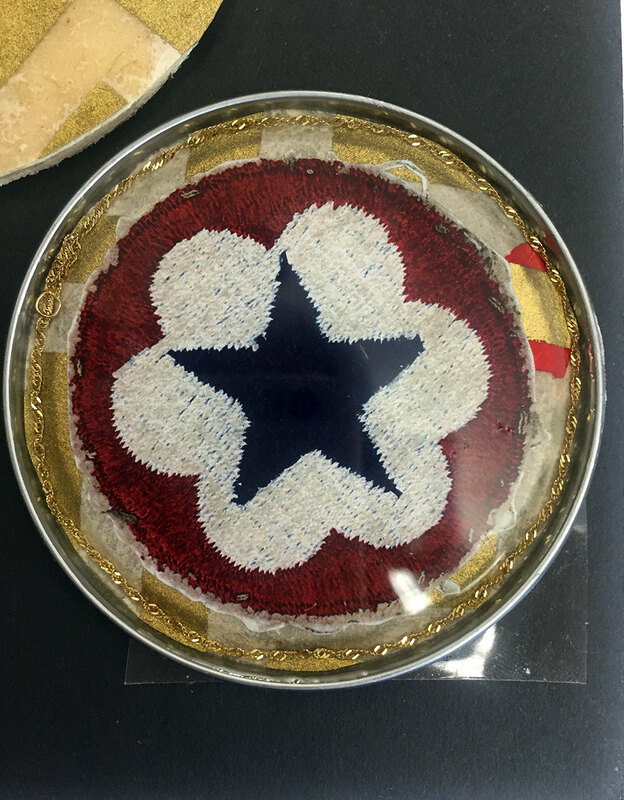 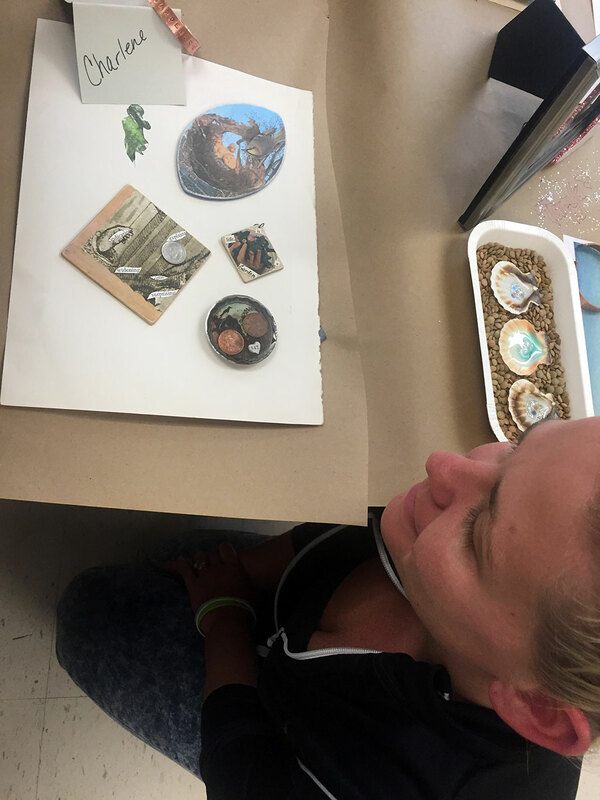 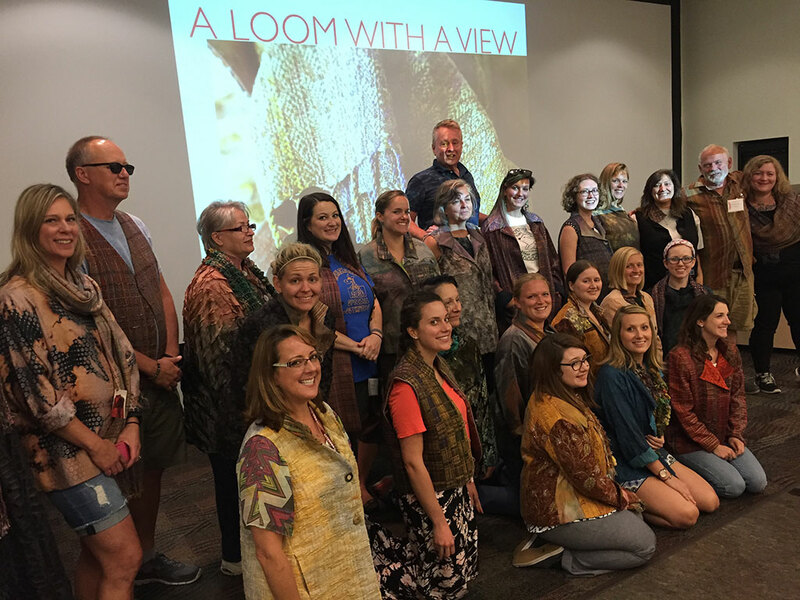 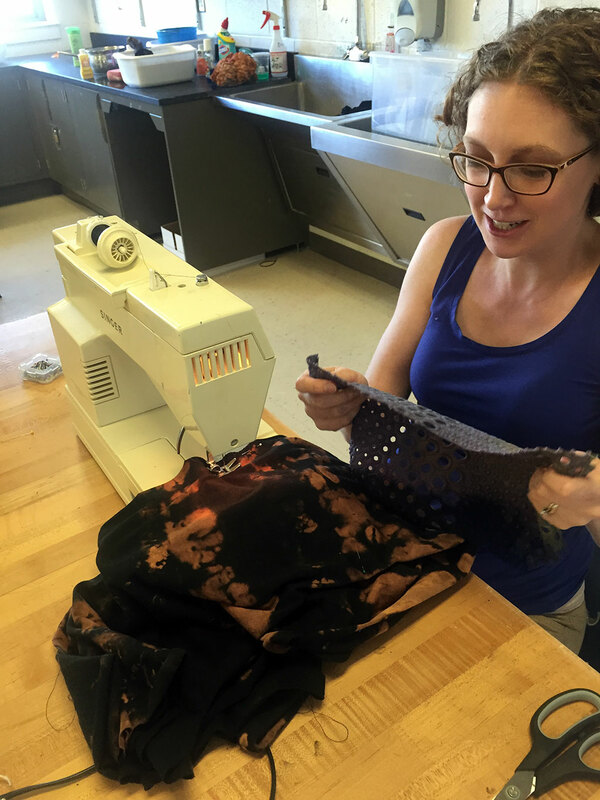 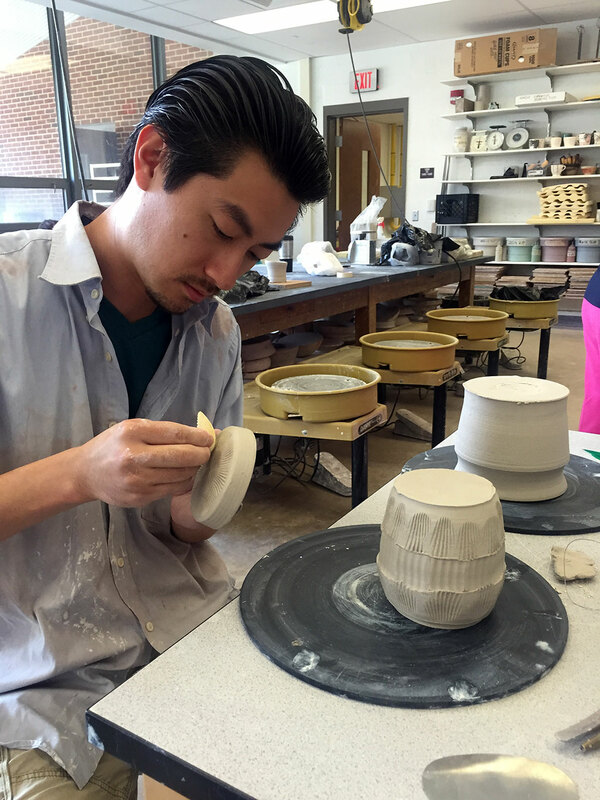 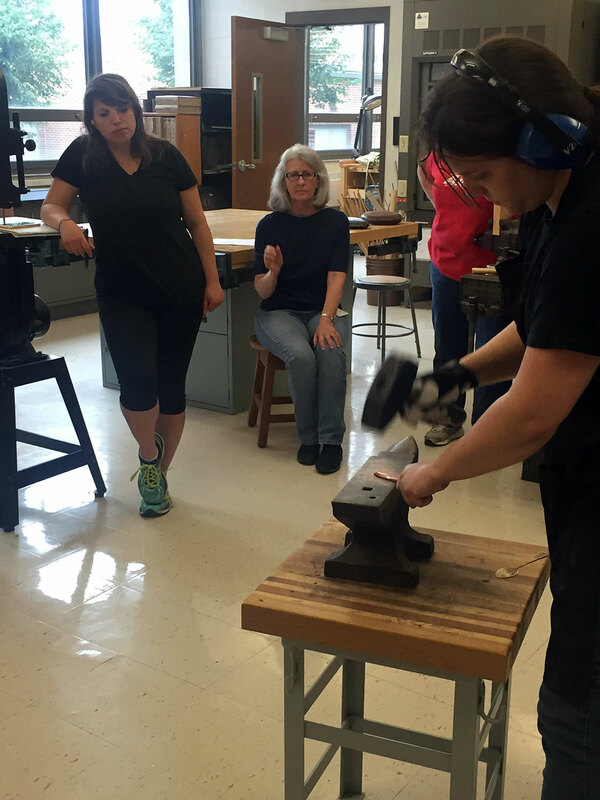 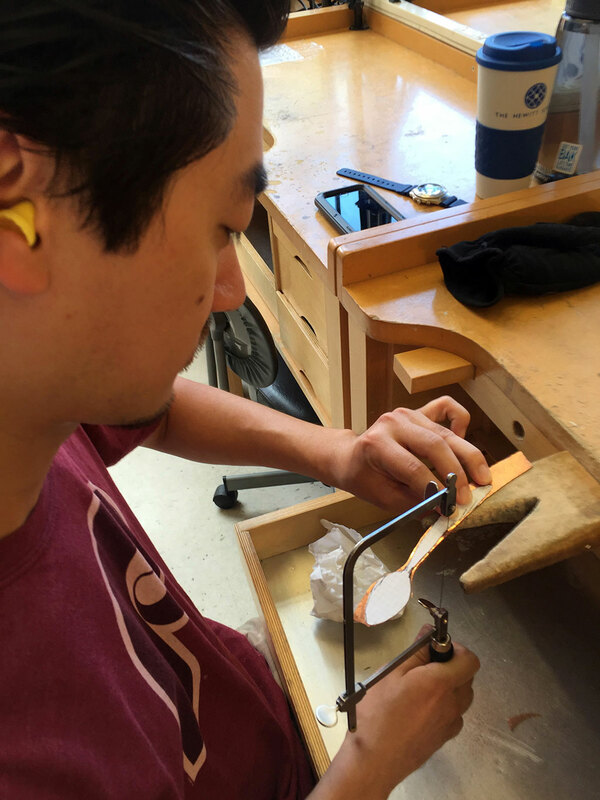 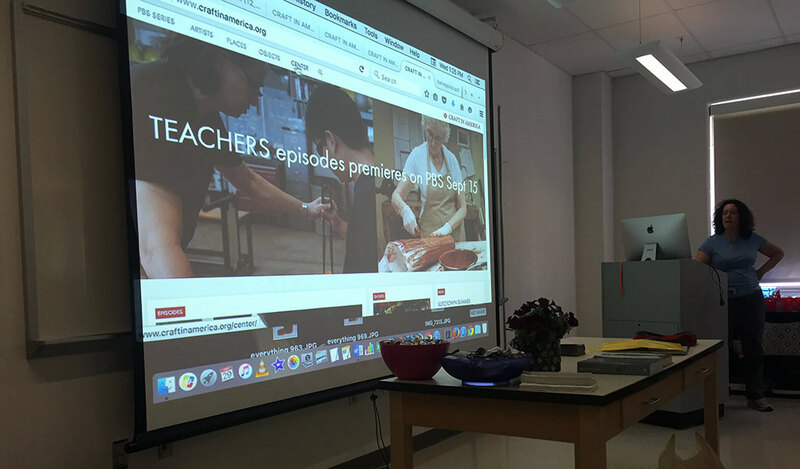 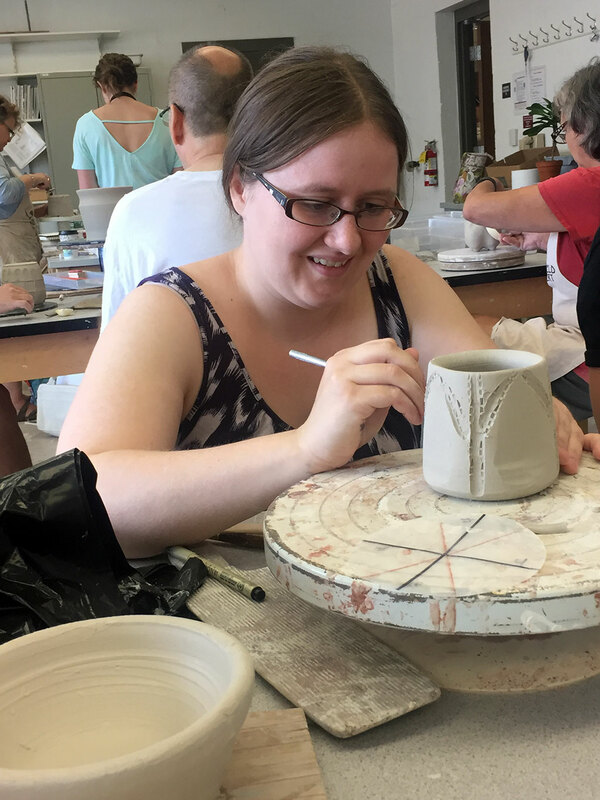 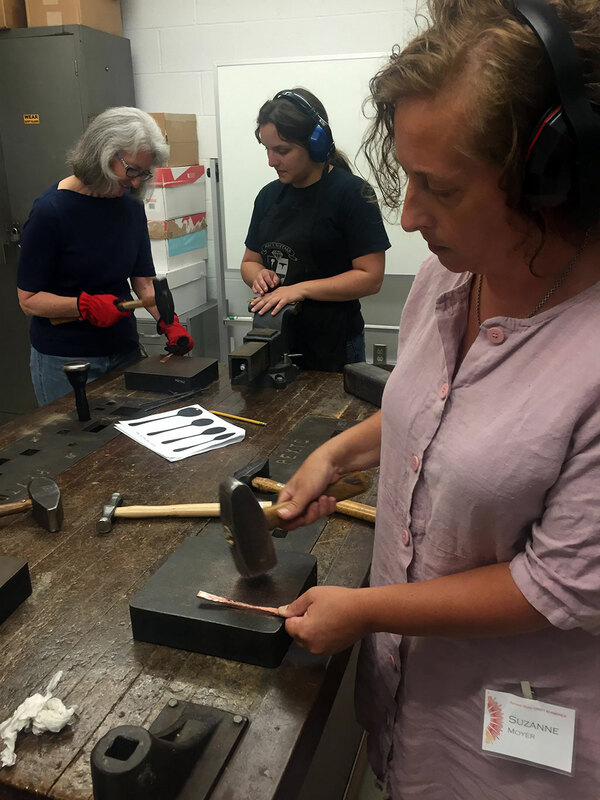 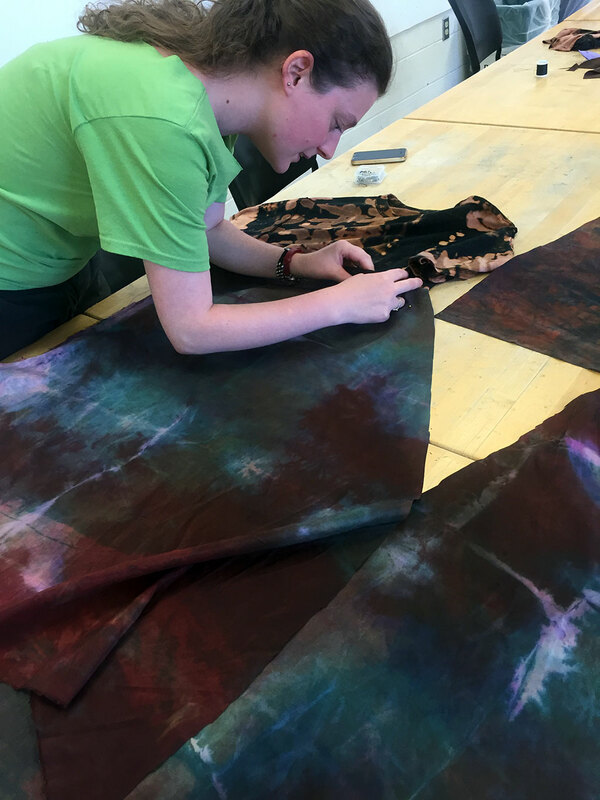 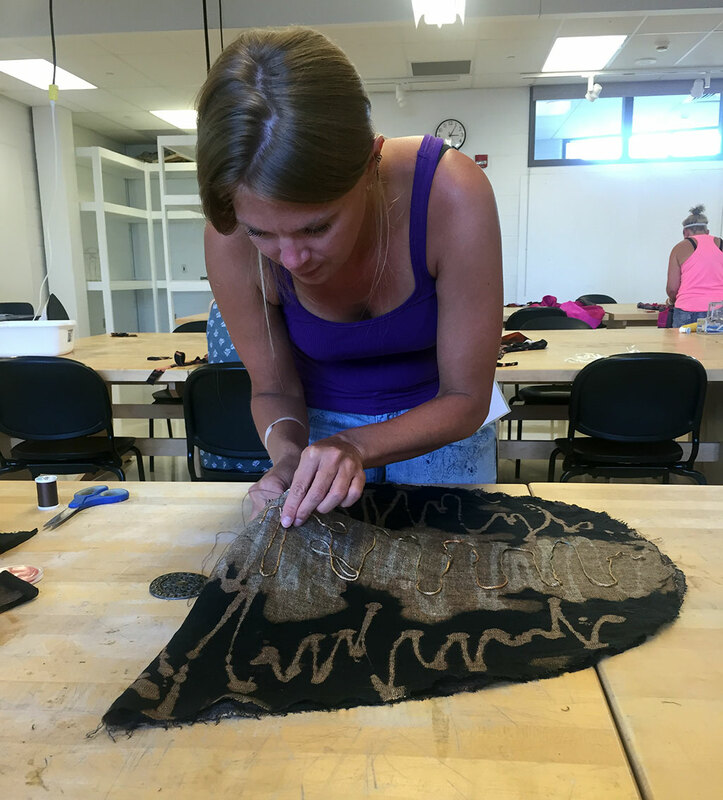 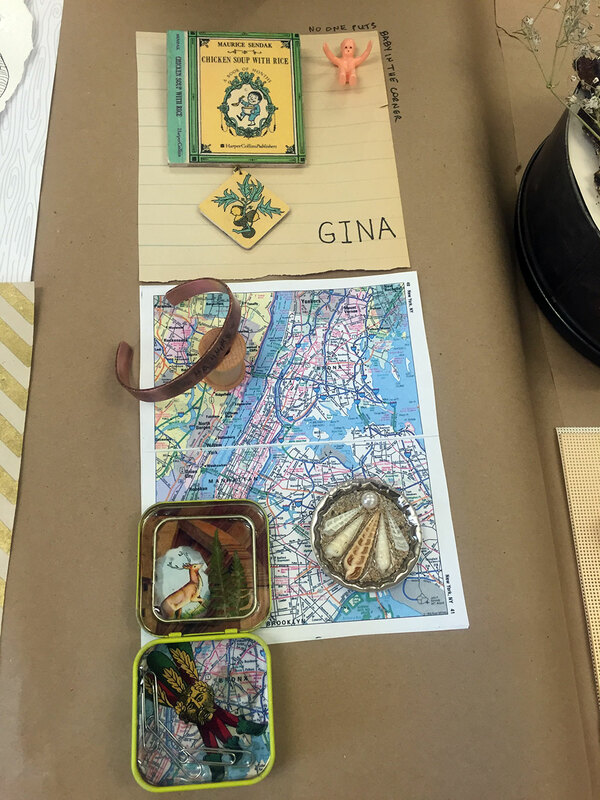 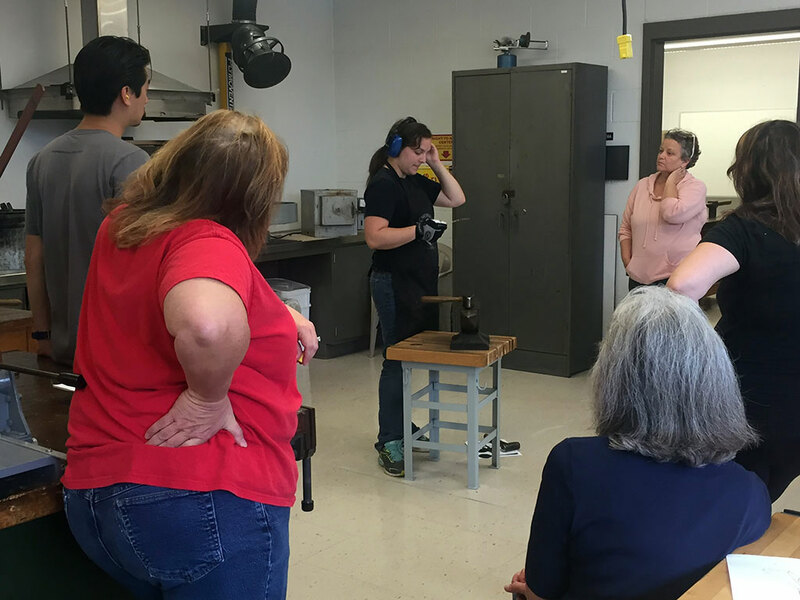 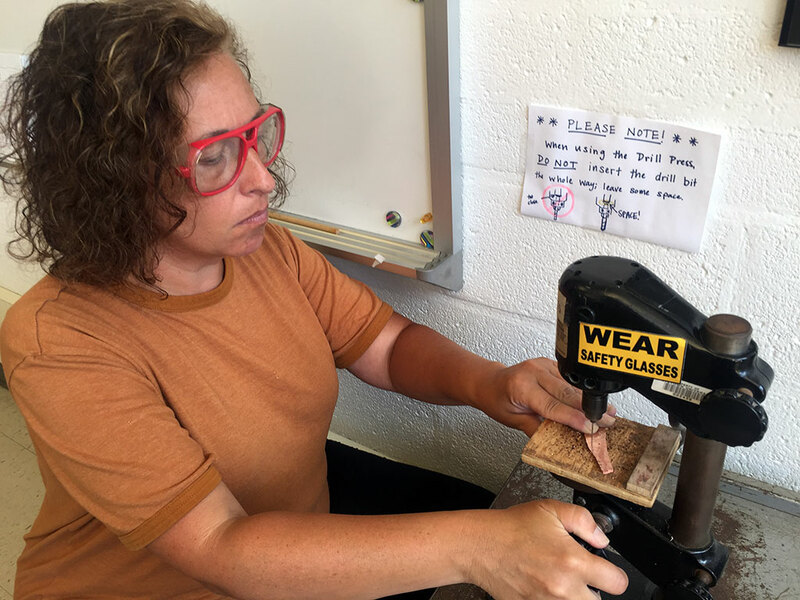 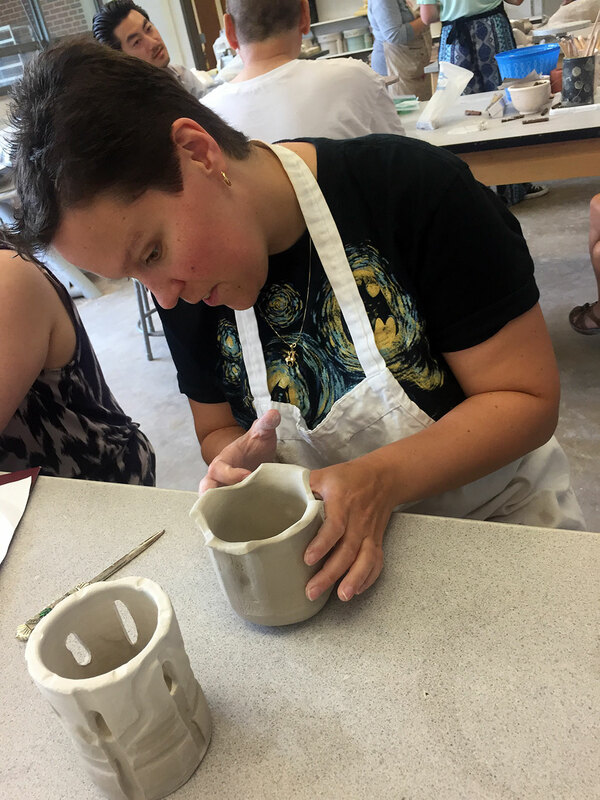 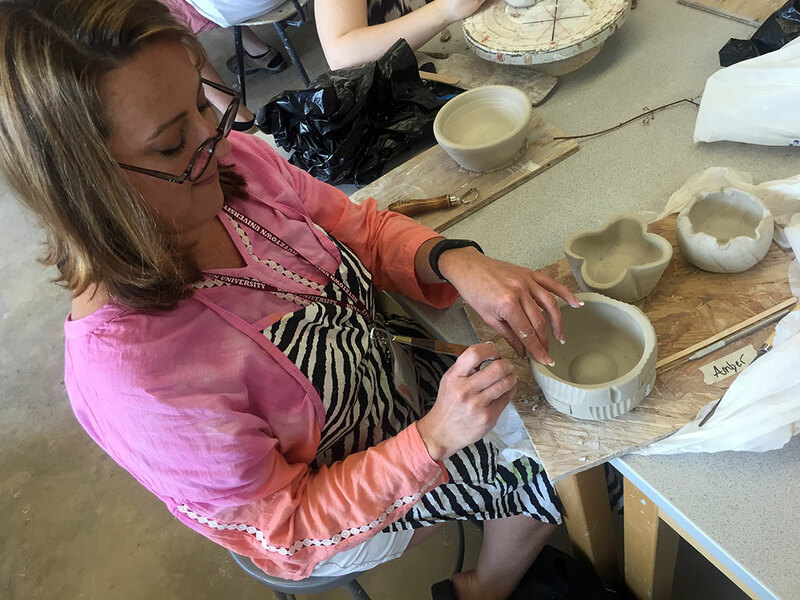 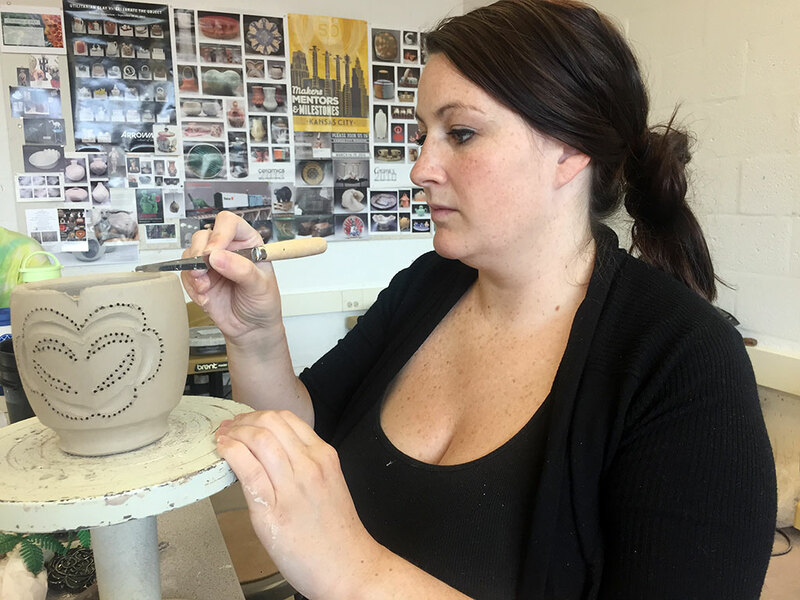 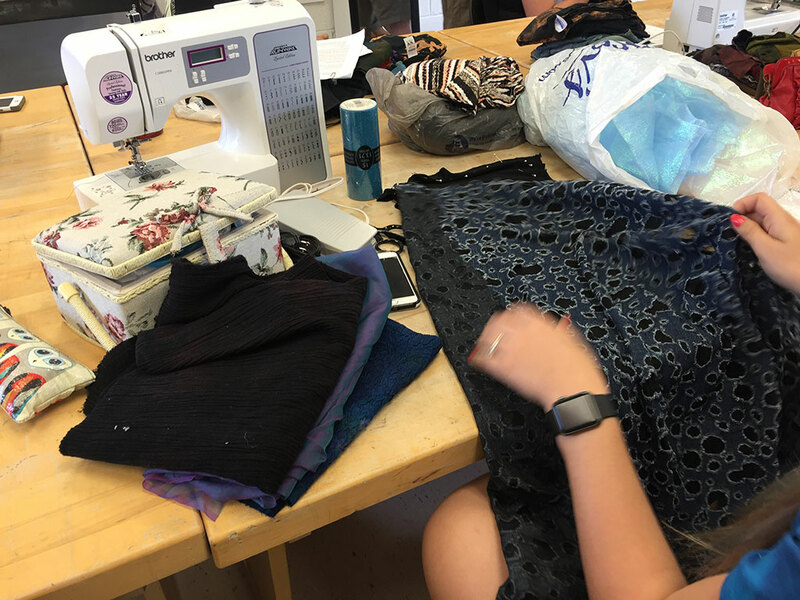 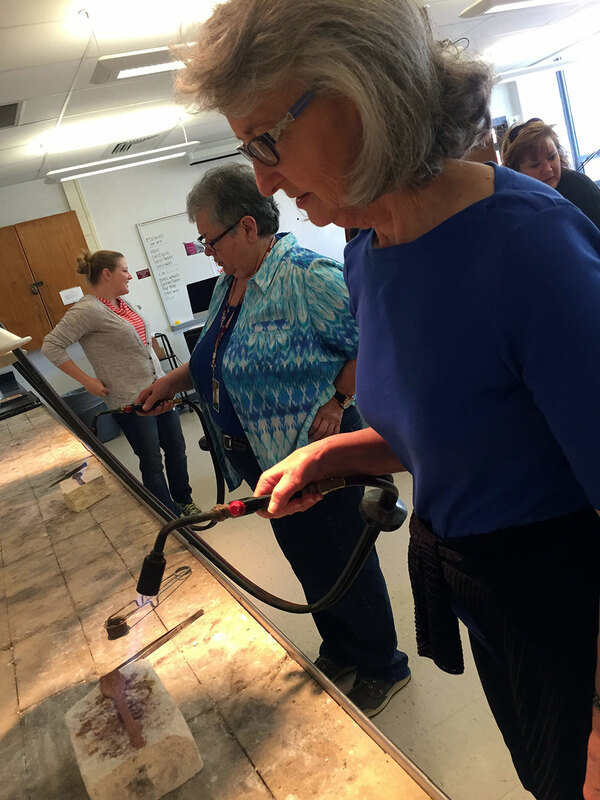 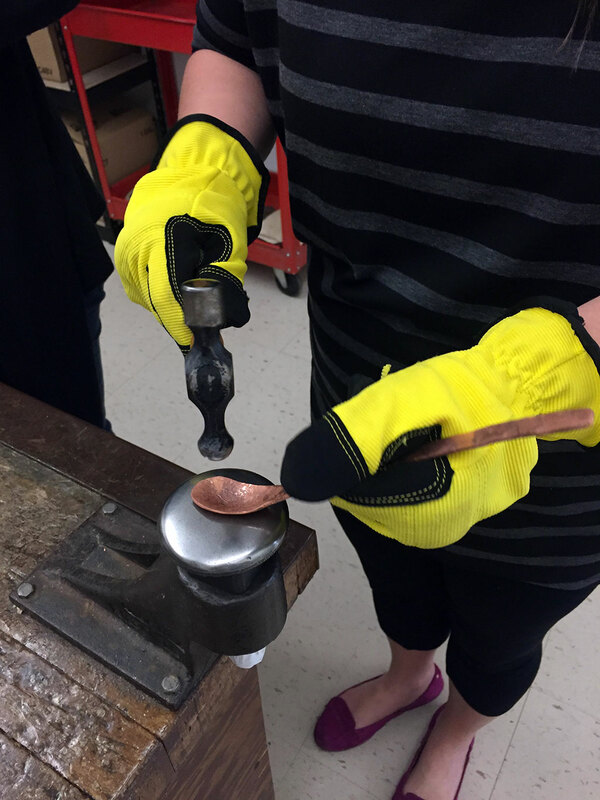 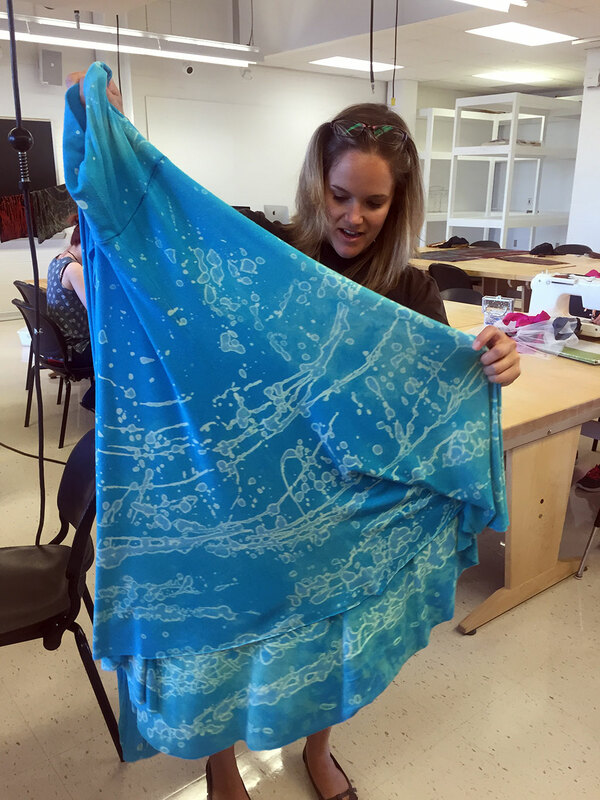 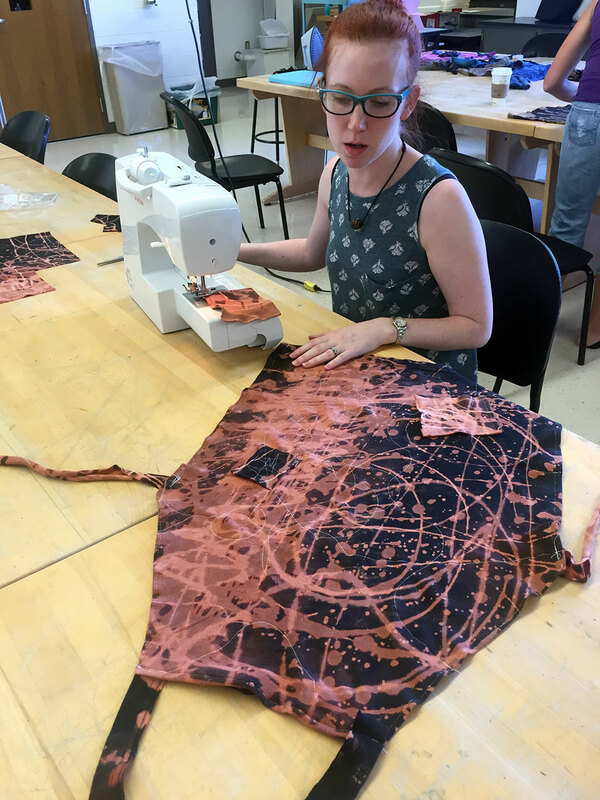 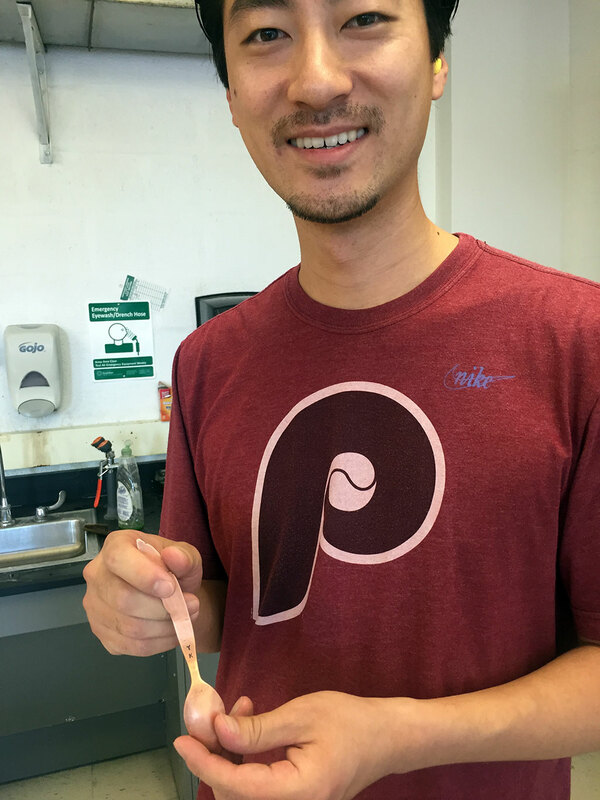 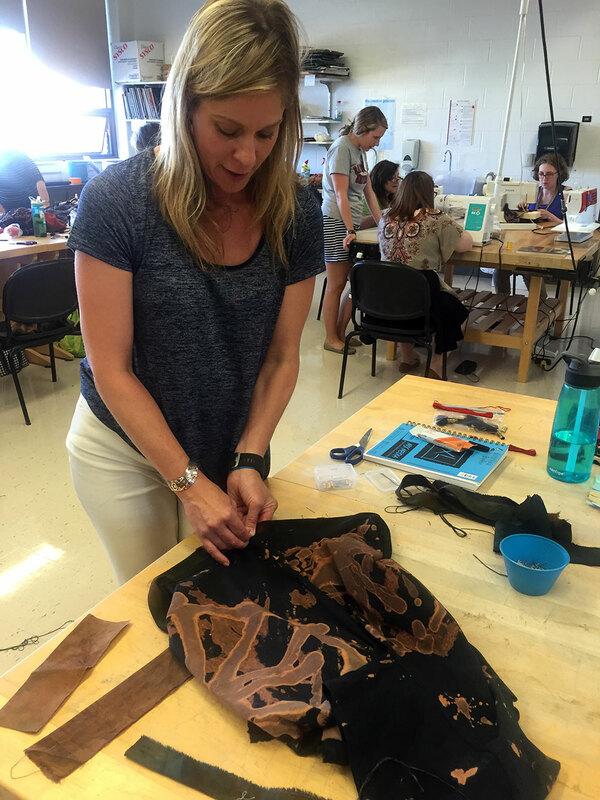 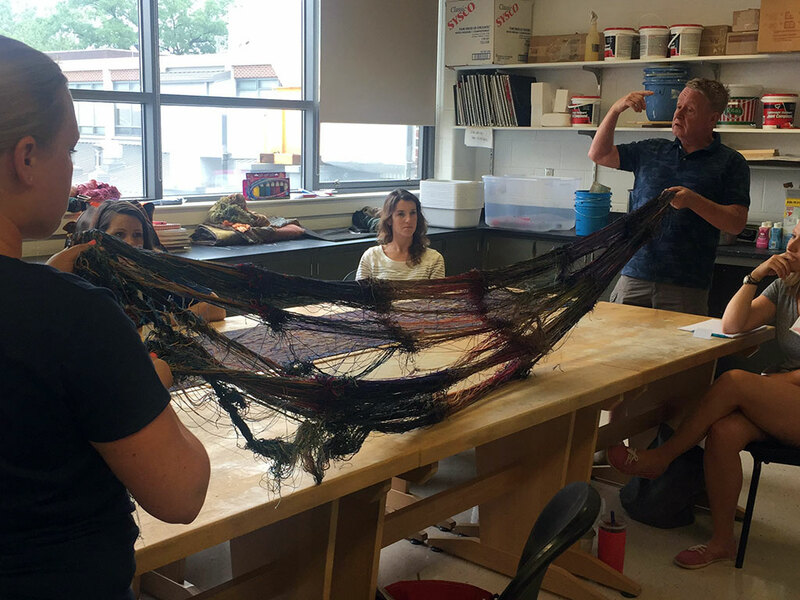 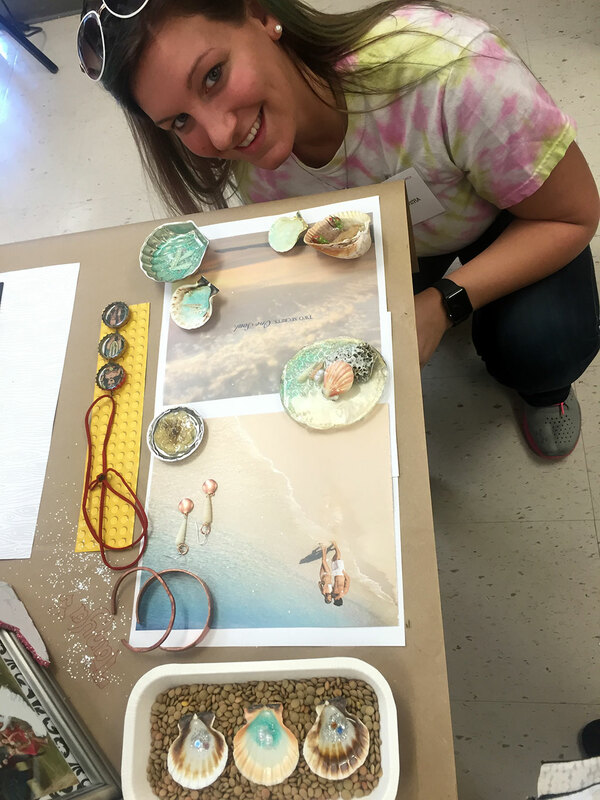 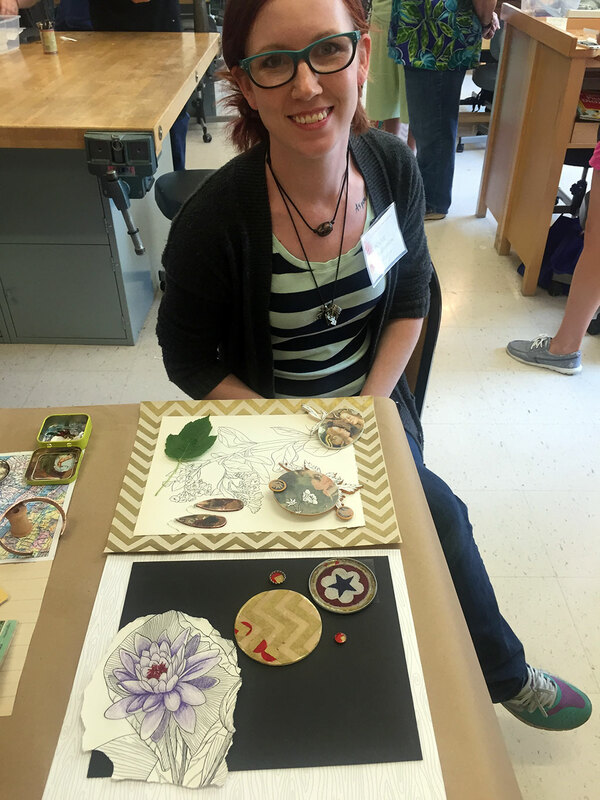 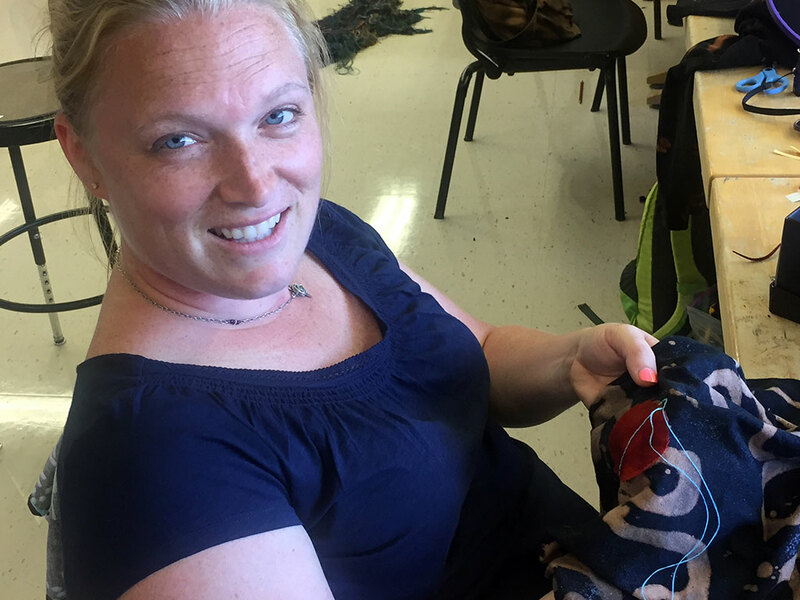 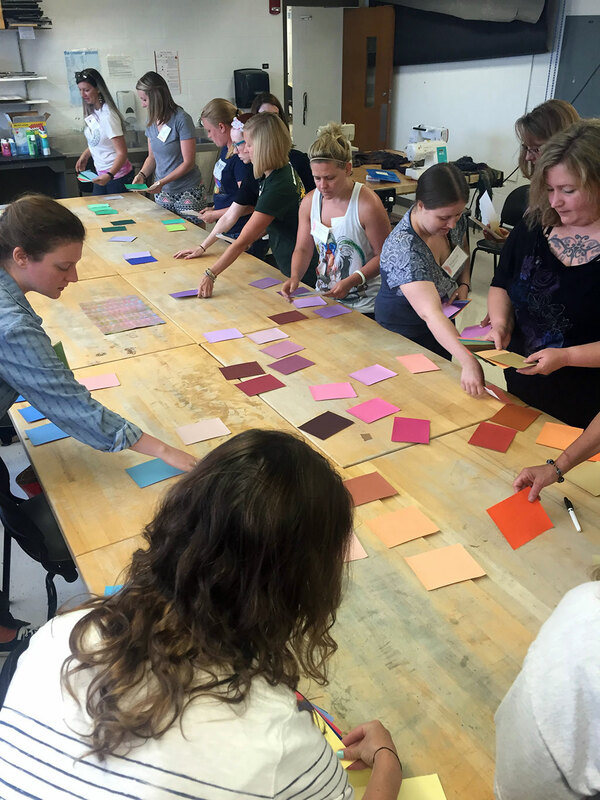 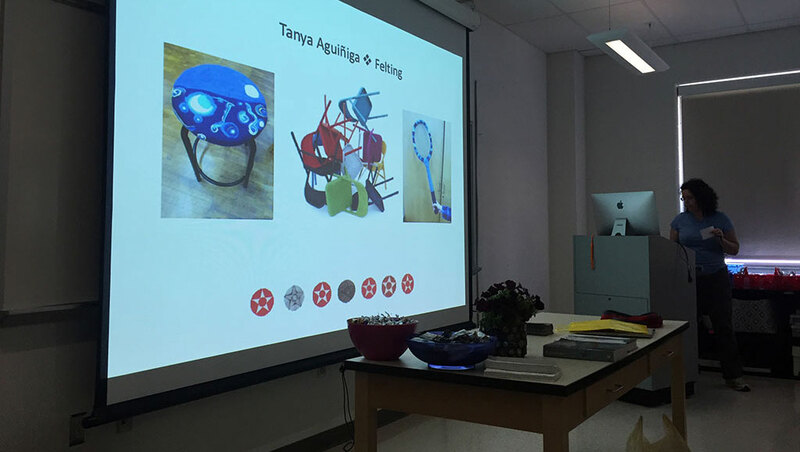 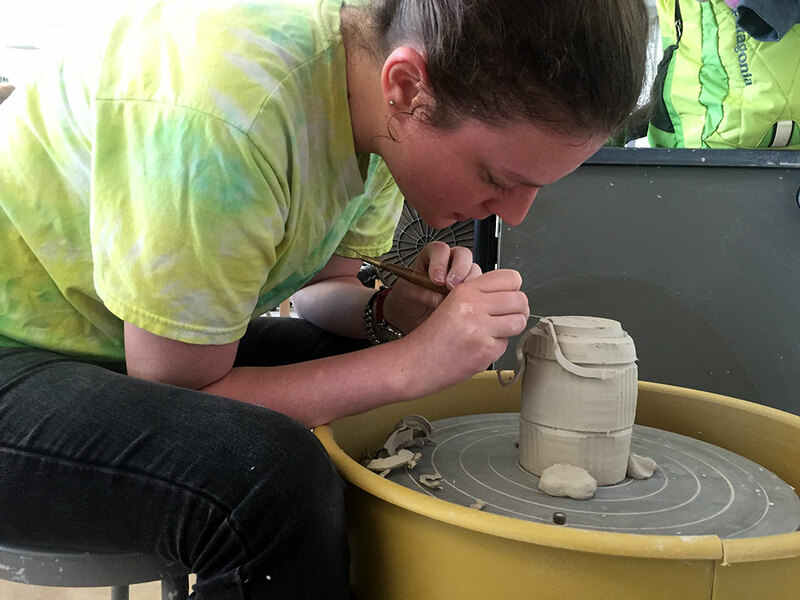 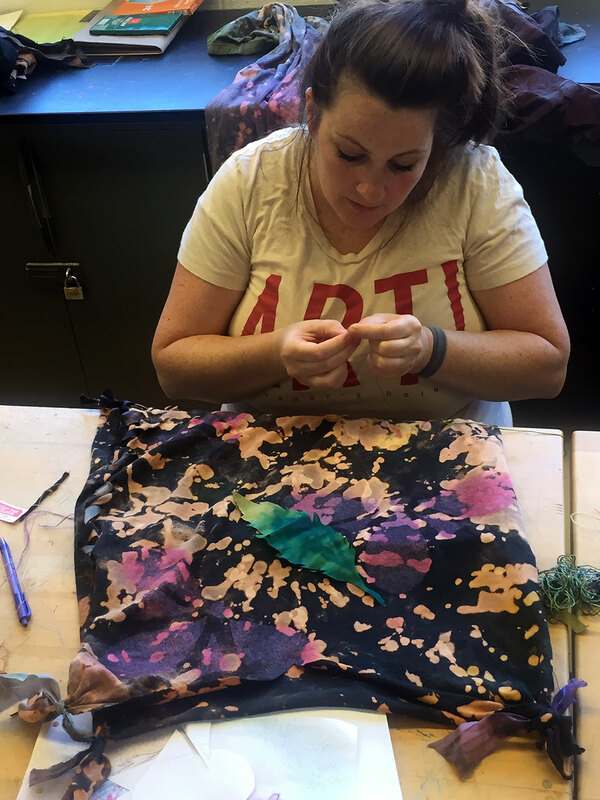 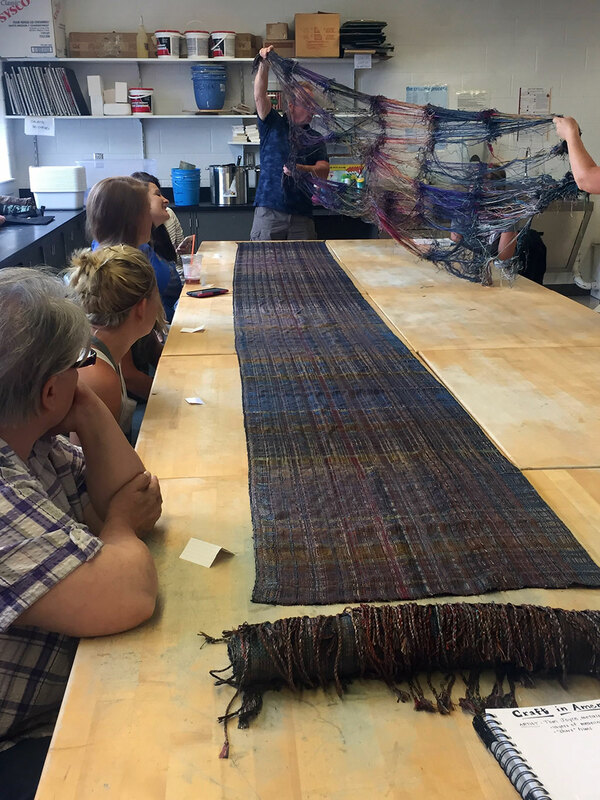 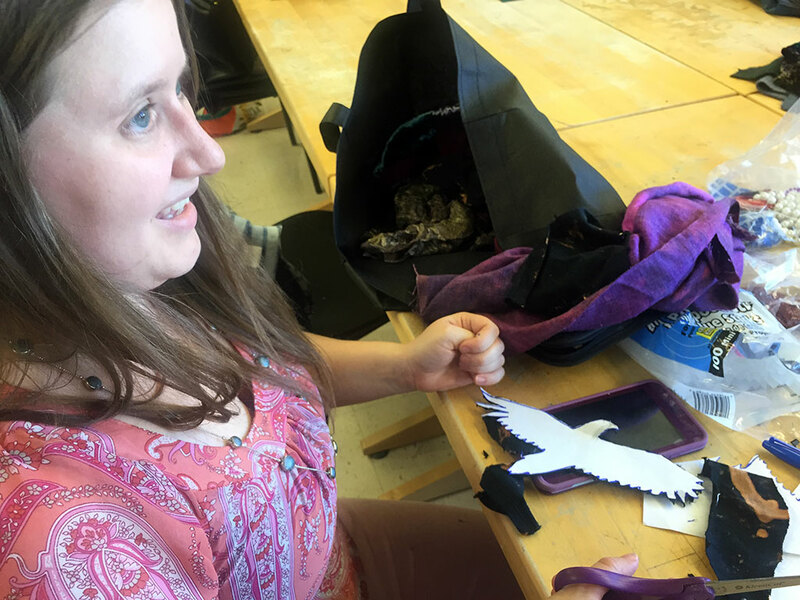 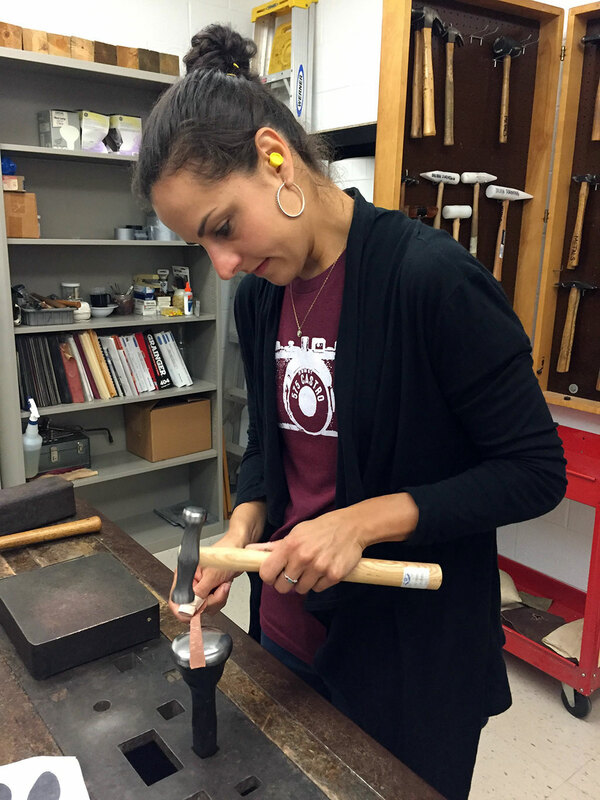 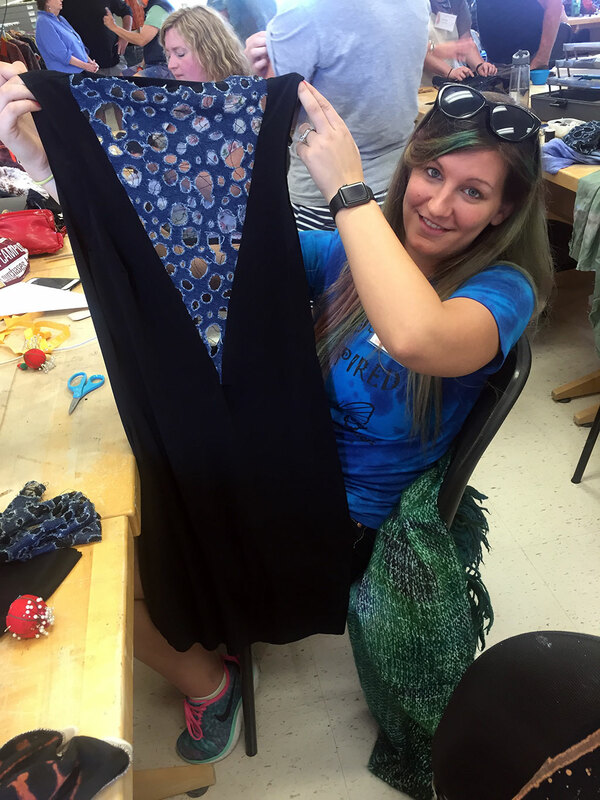 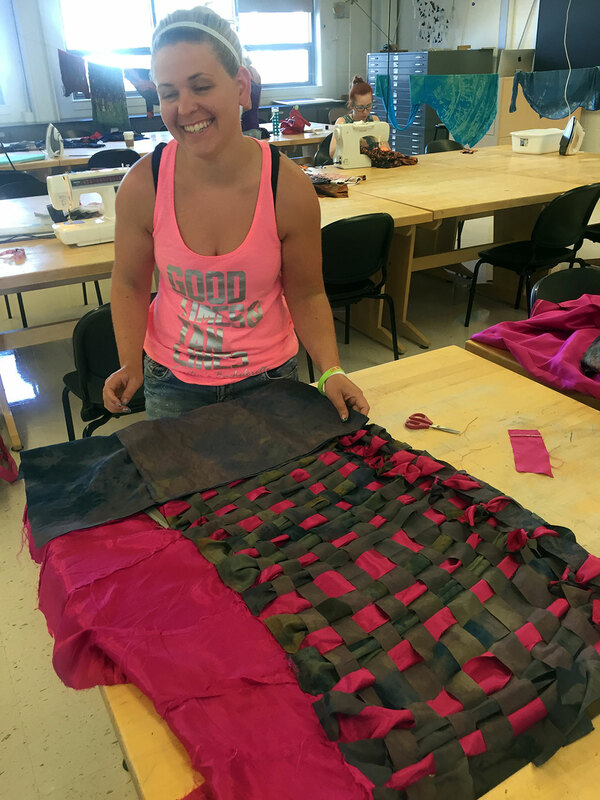 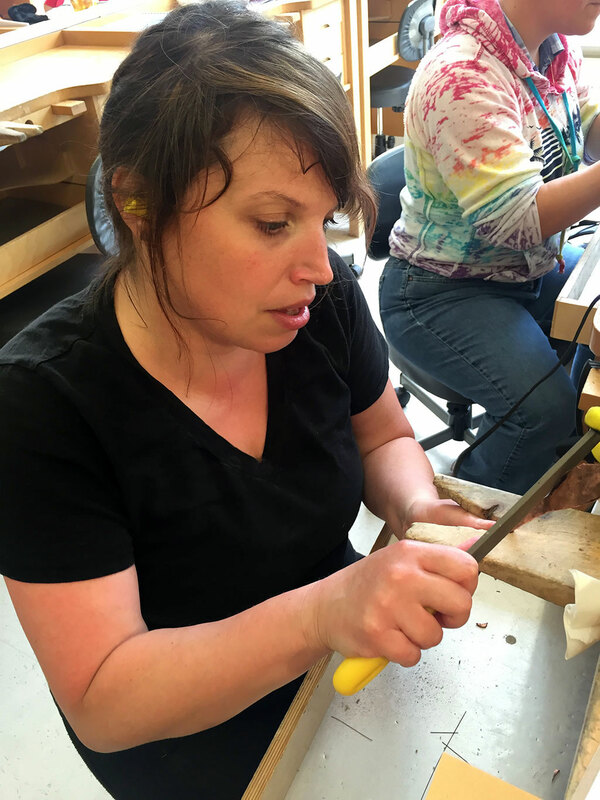 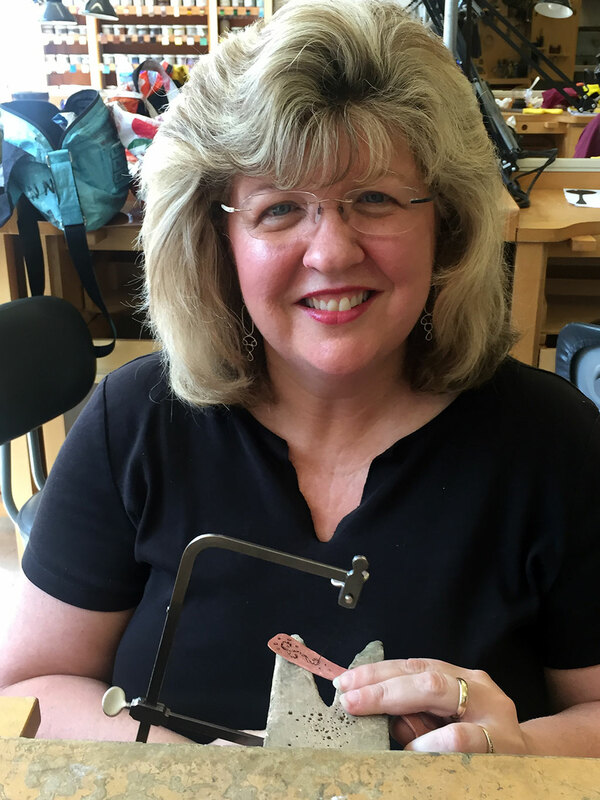 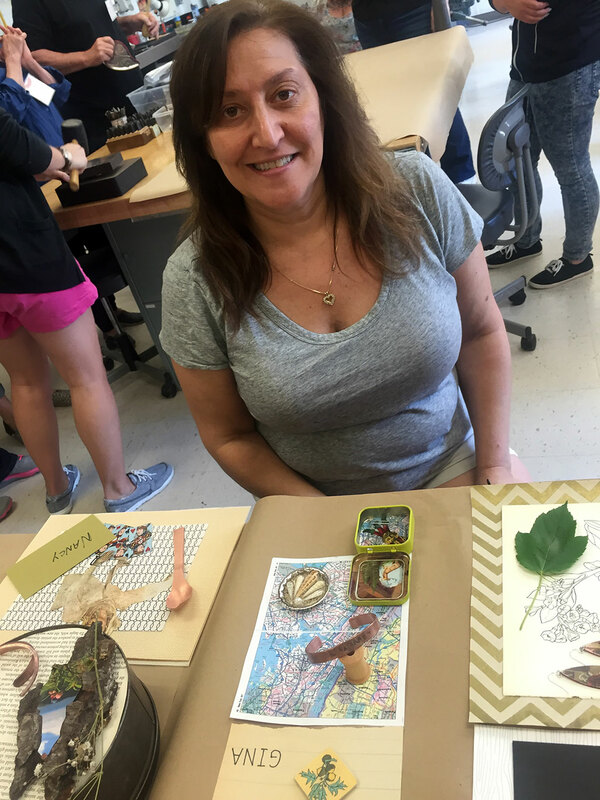 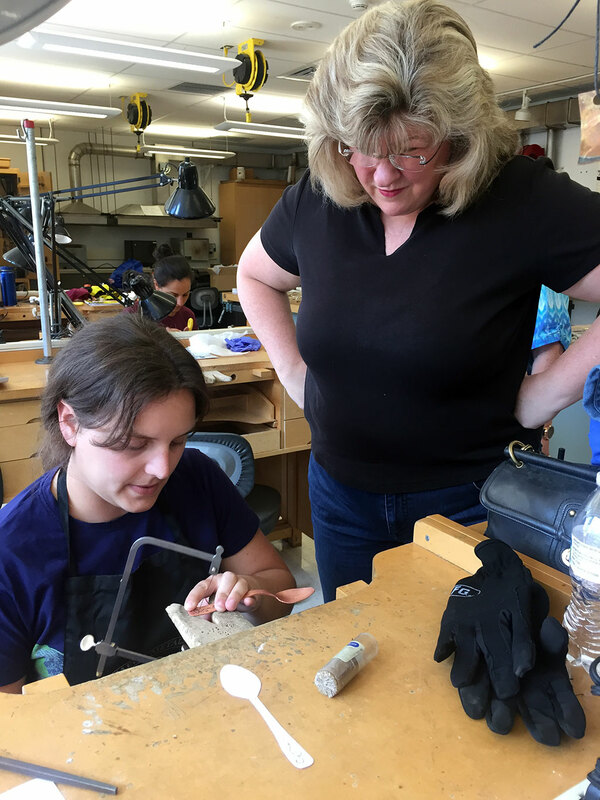 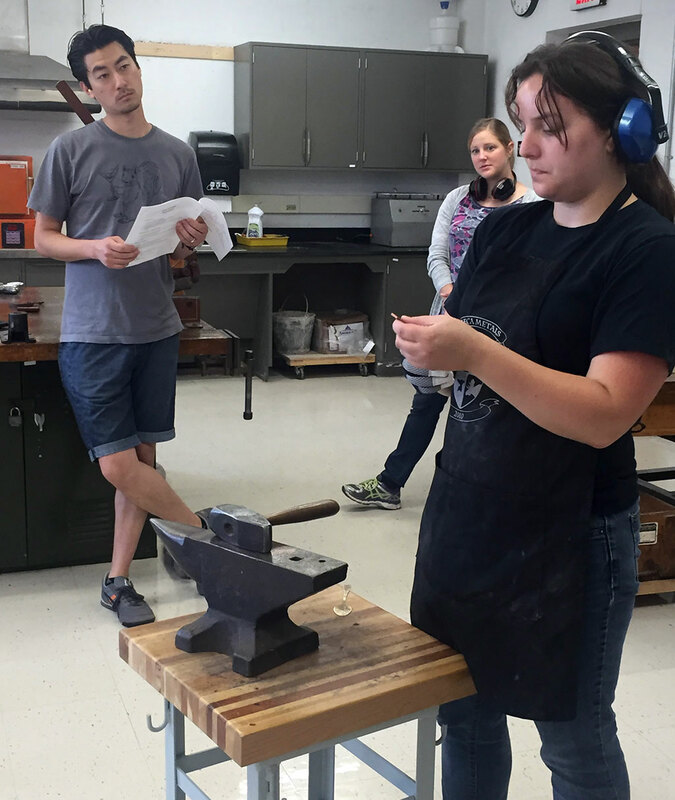 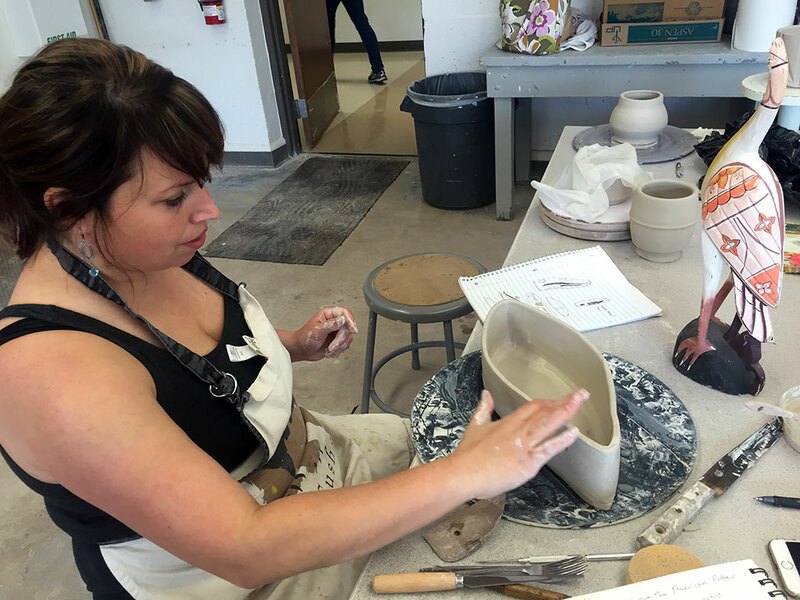 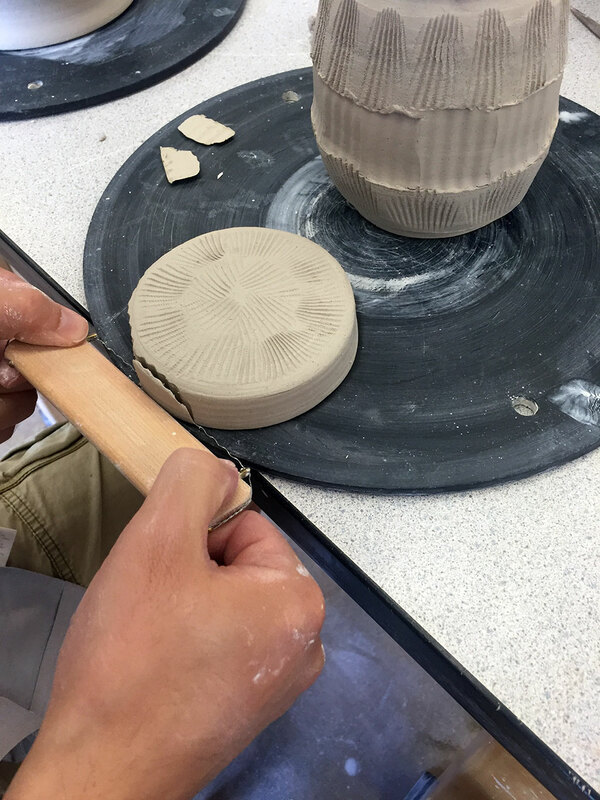 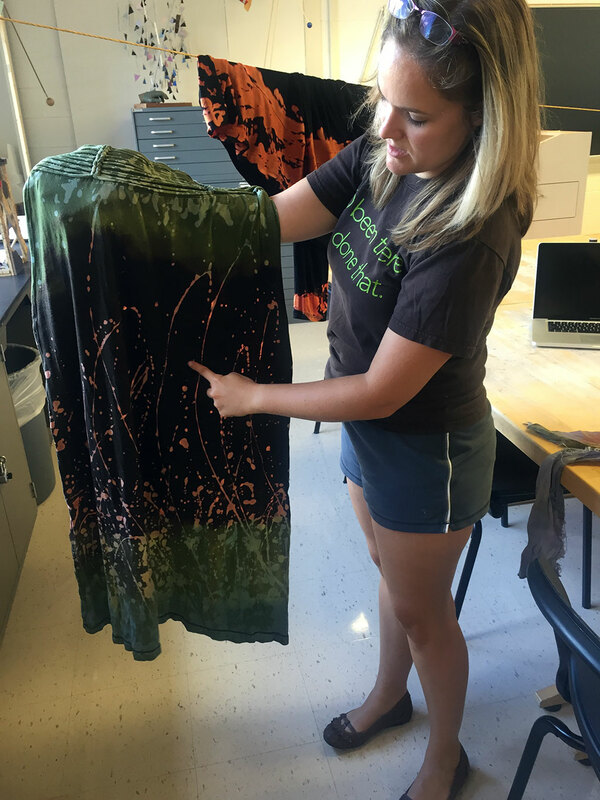 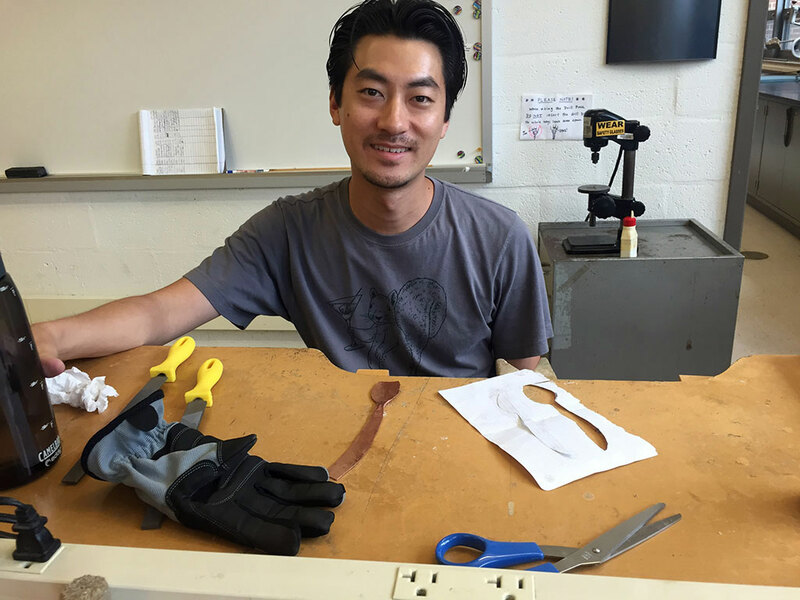 Craft in America has partnered with Kutztown University and the National Art Education Association again this summer to bring you the “Summer Studio – Craft In America: Themes and Practices of Contemporary Craft”. 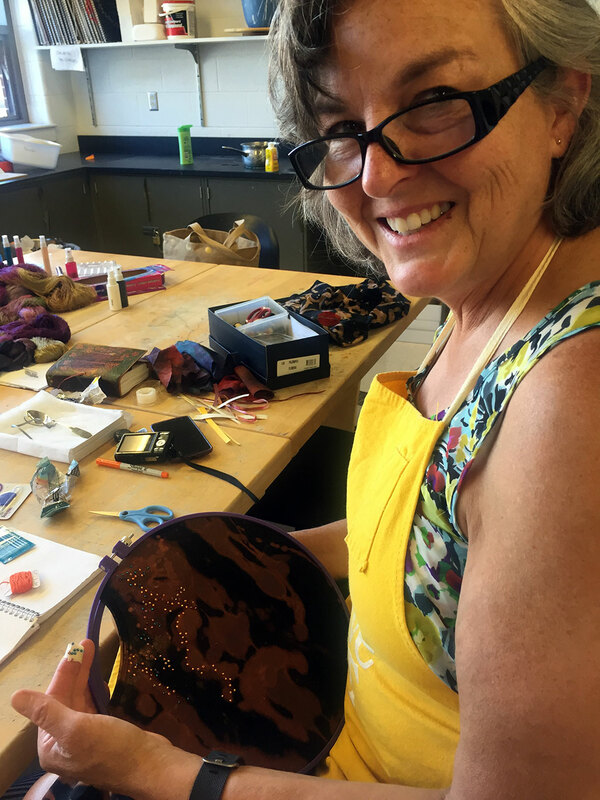 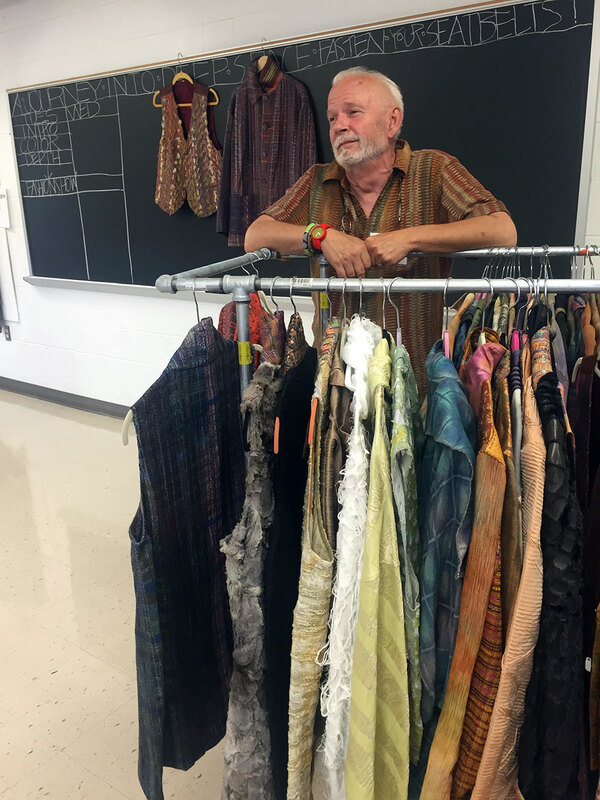 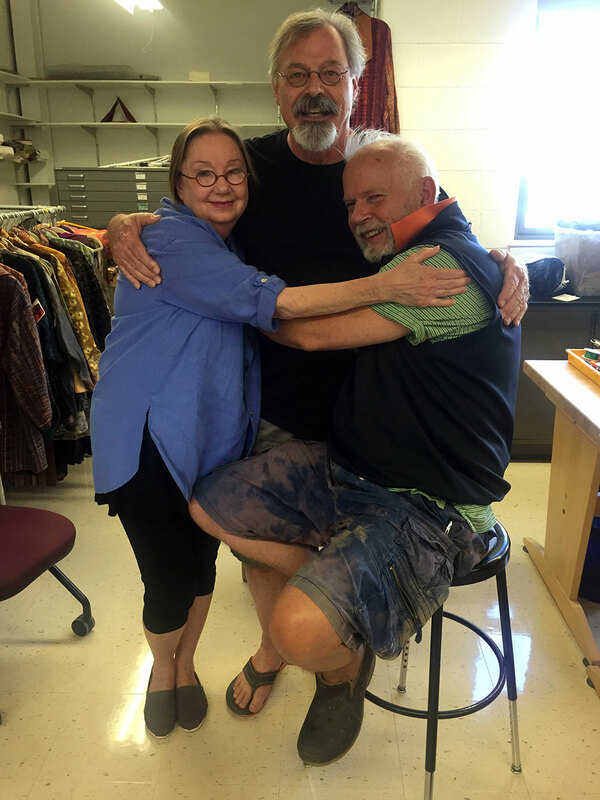 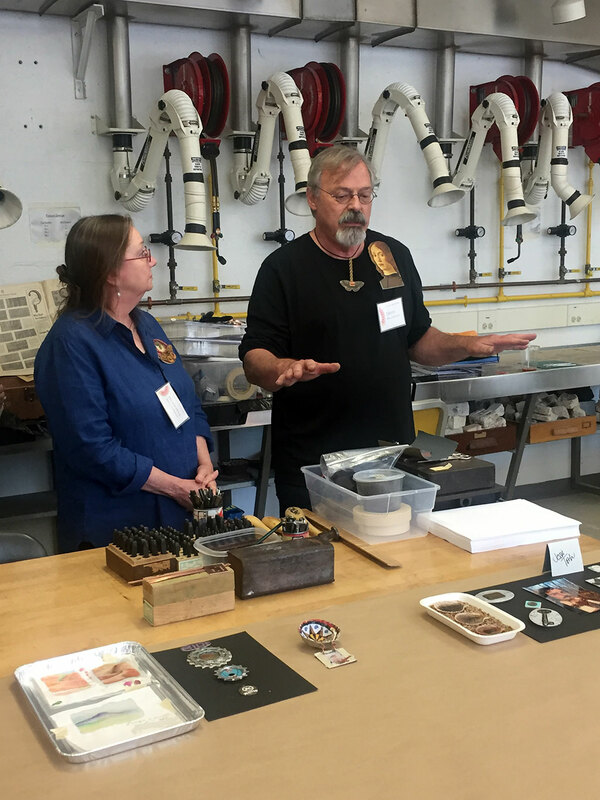 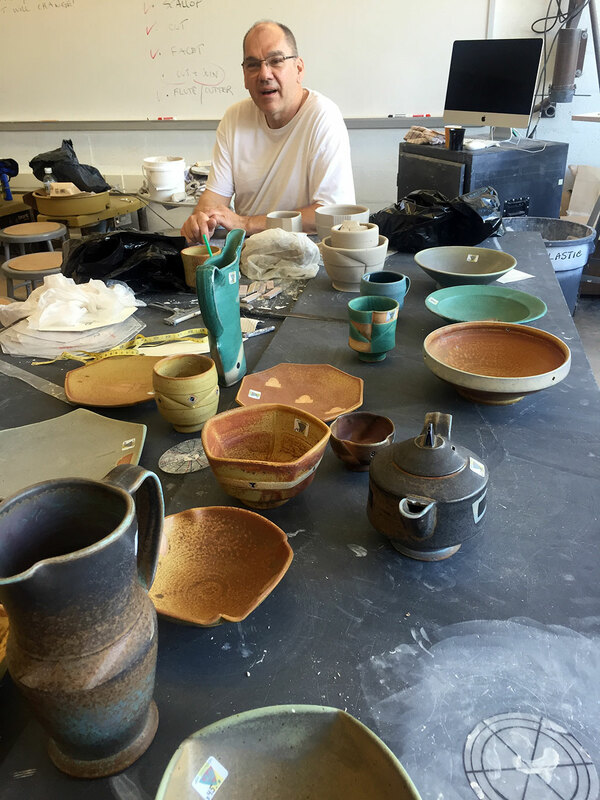 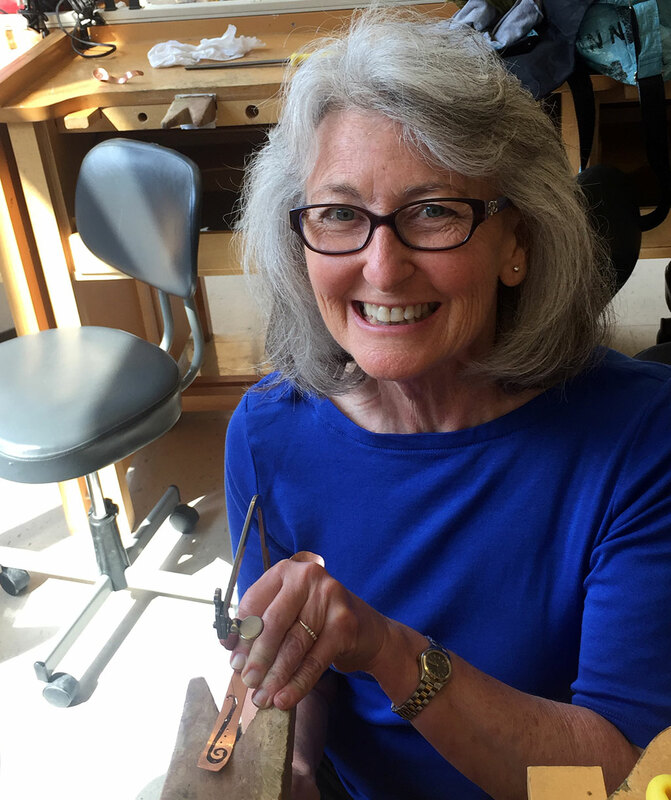 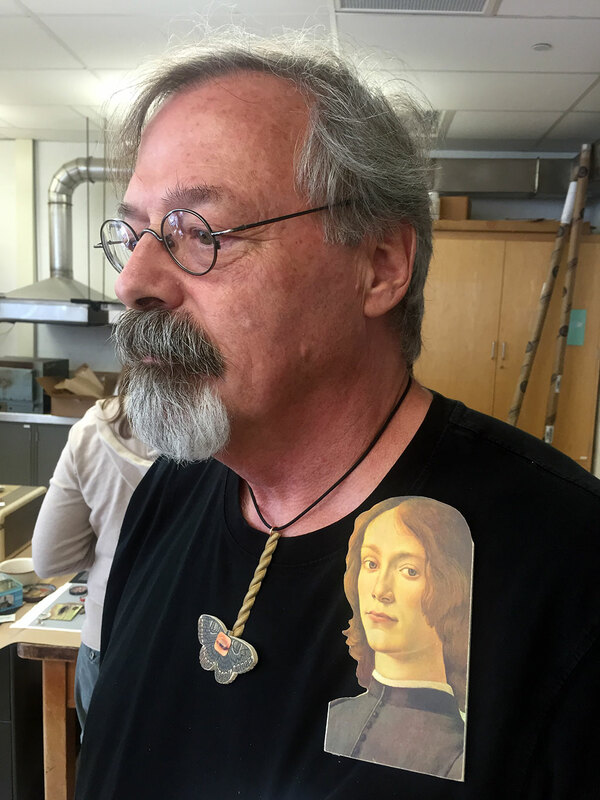 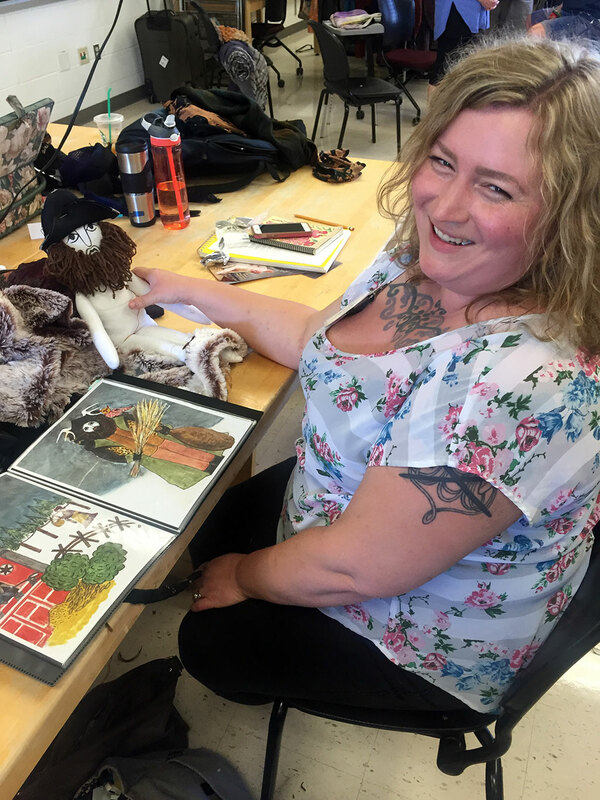 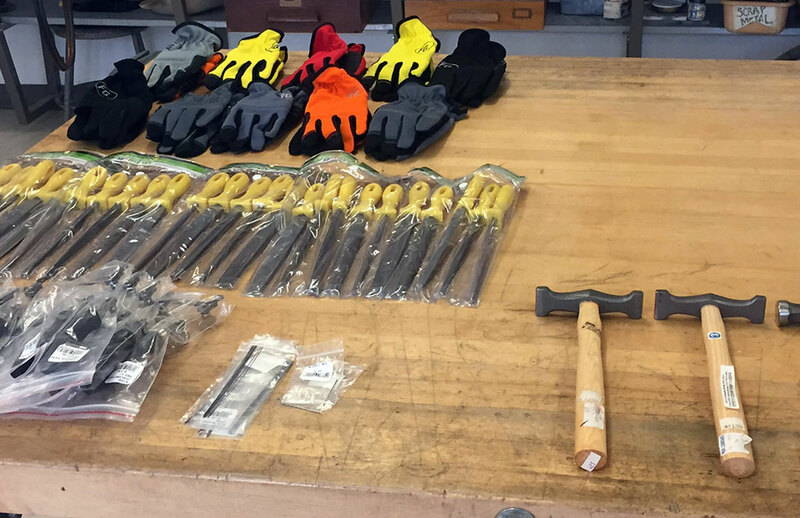 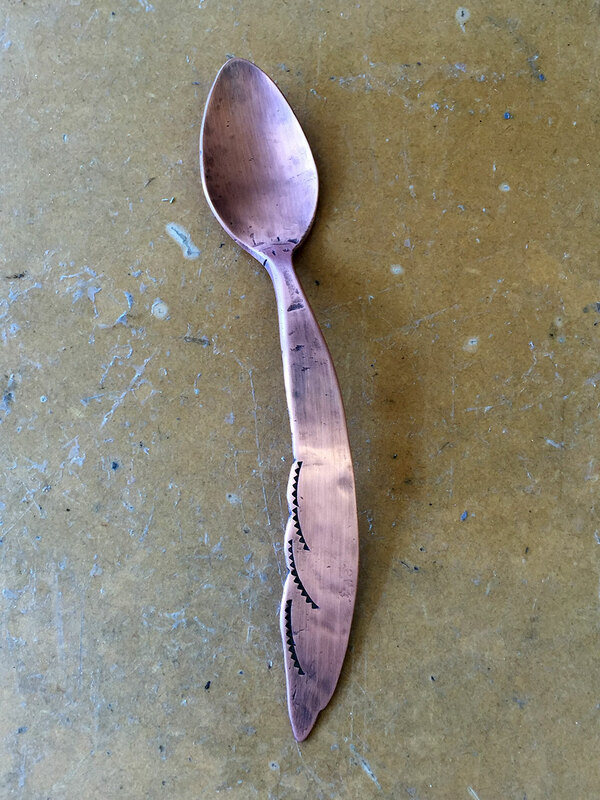 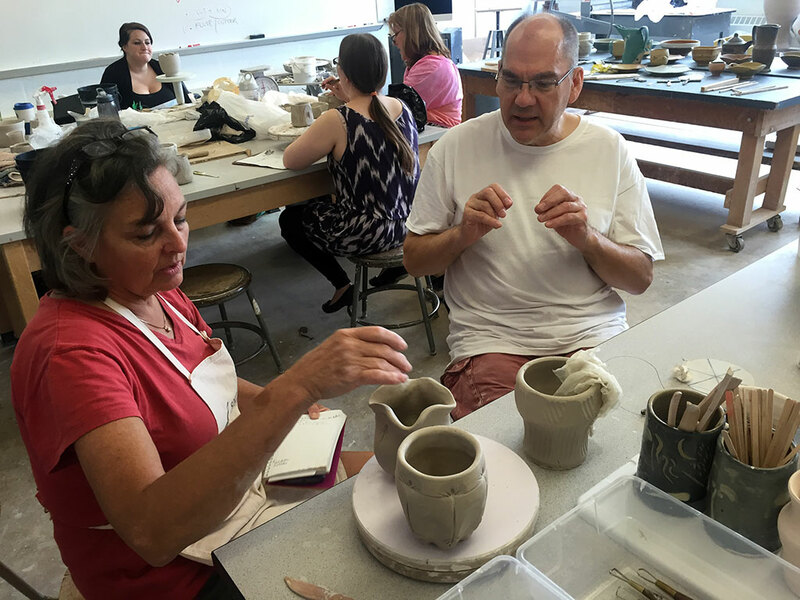 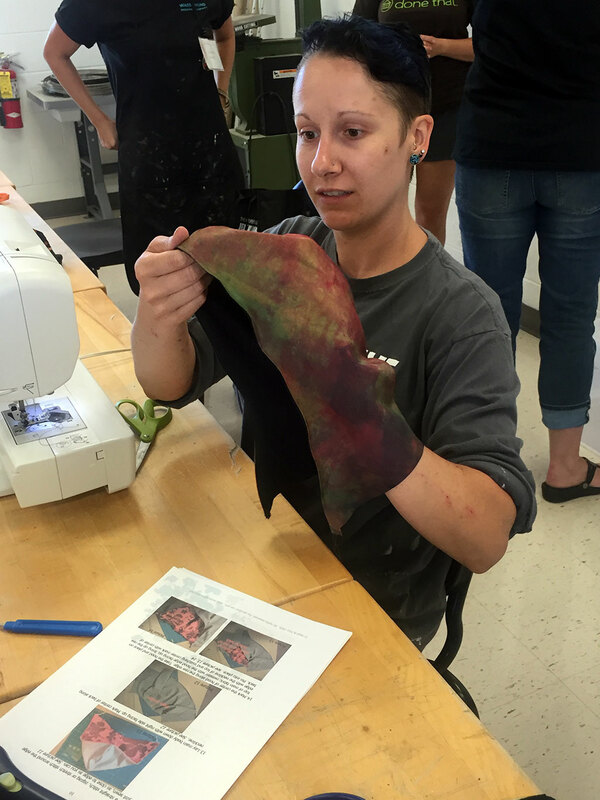 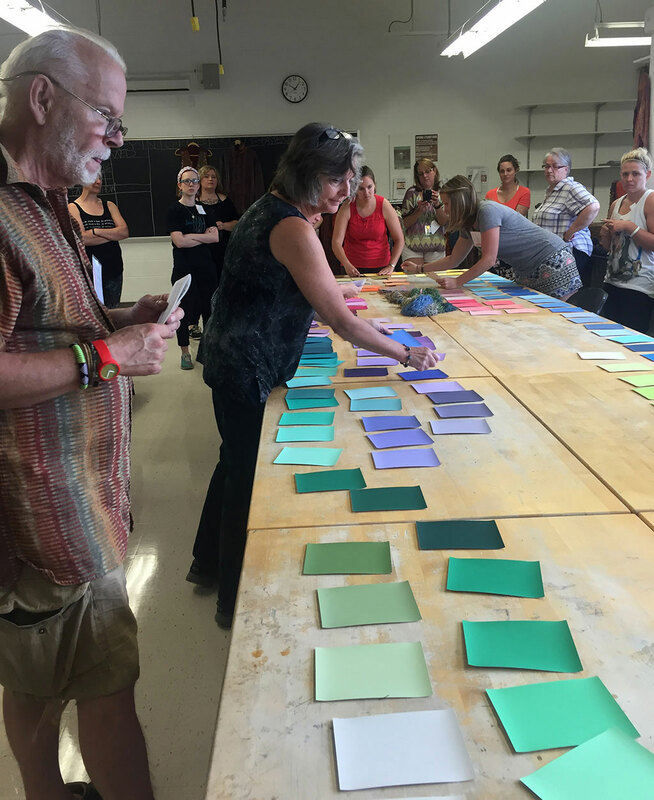 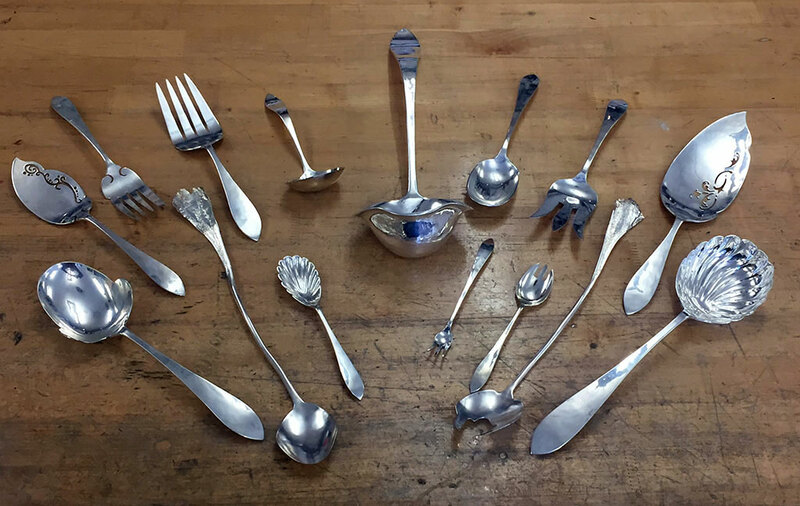 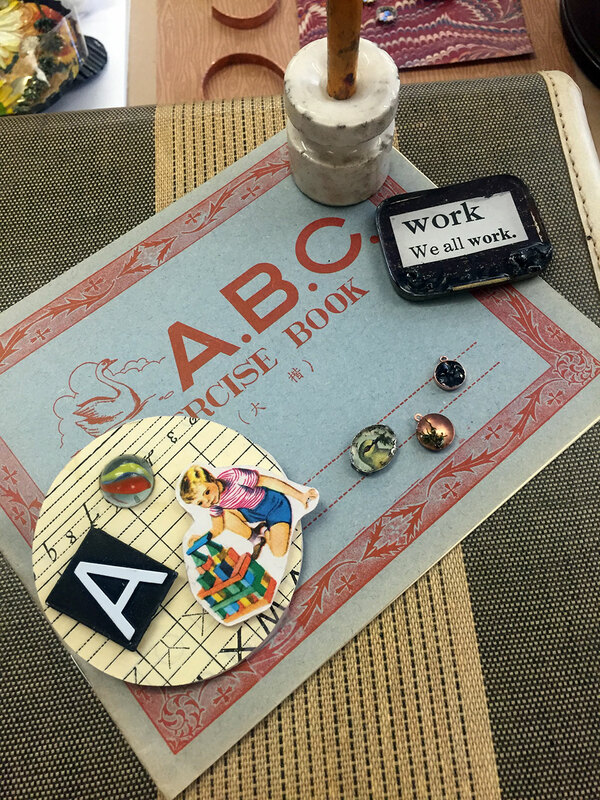 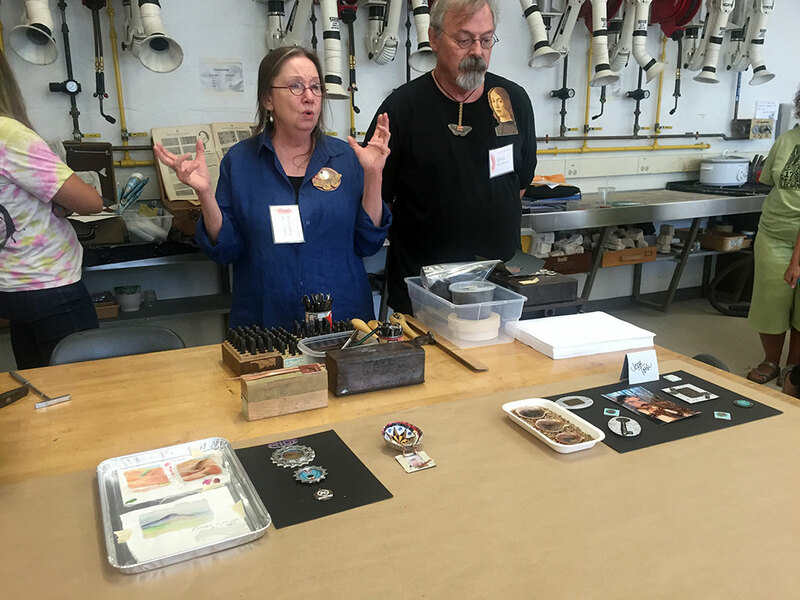 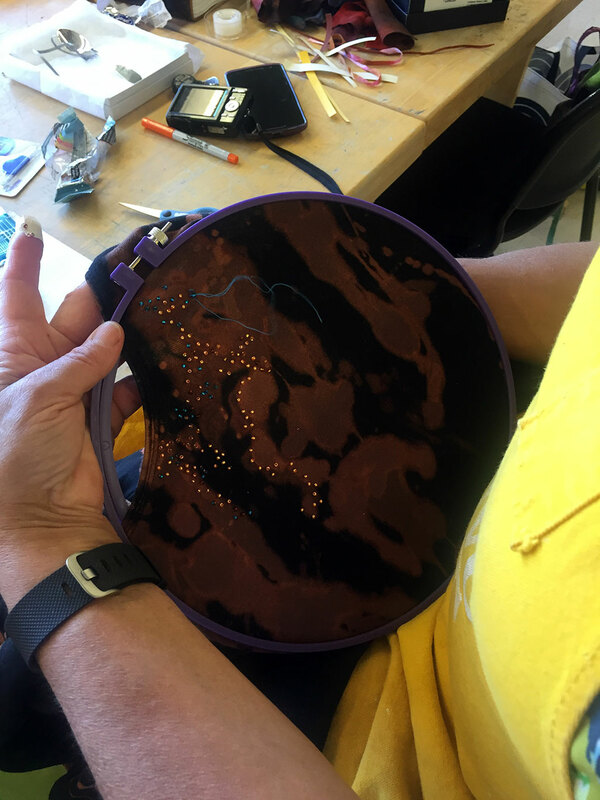 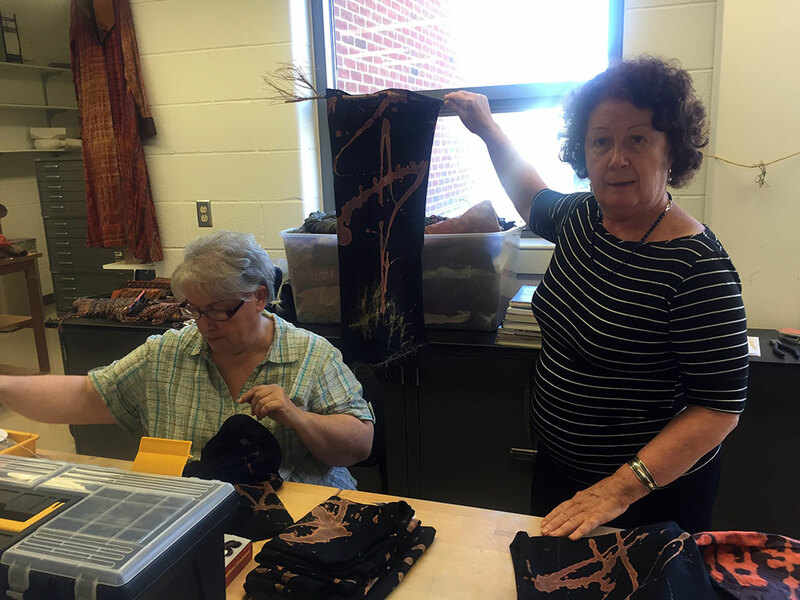 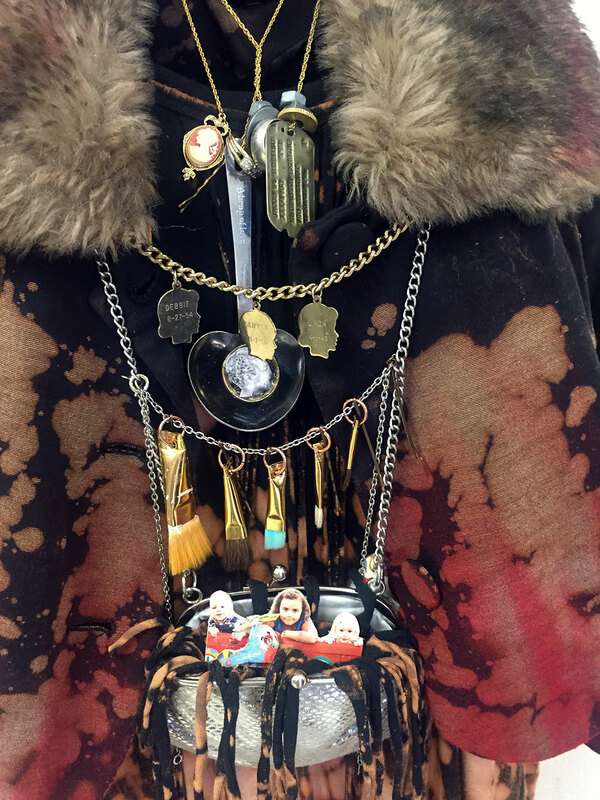 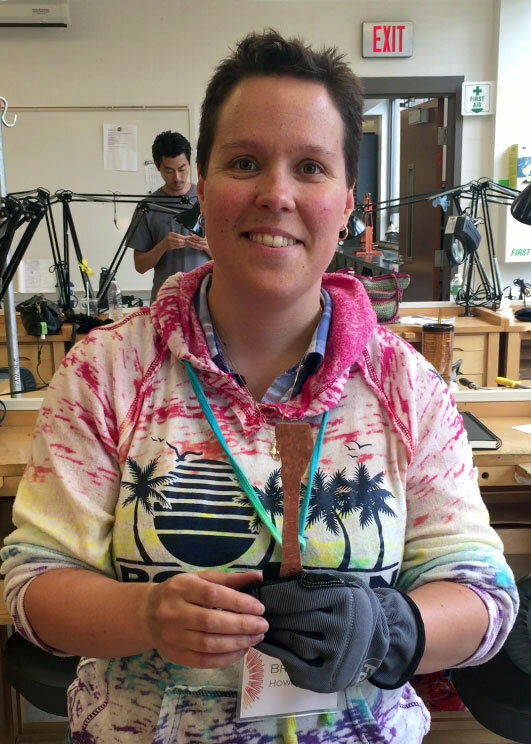 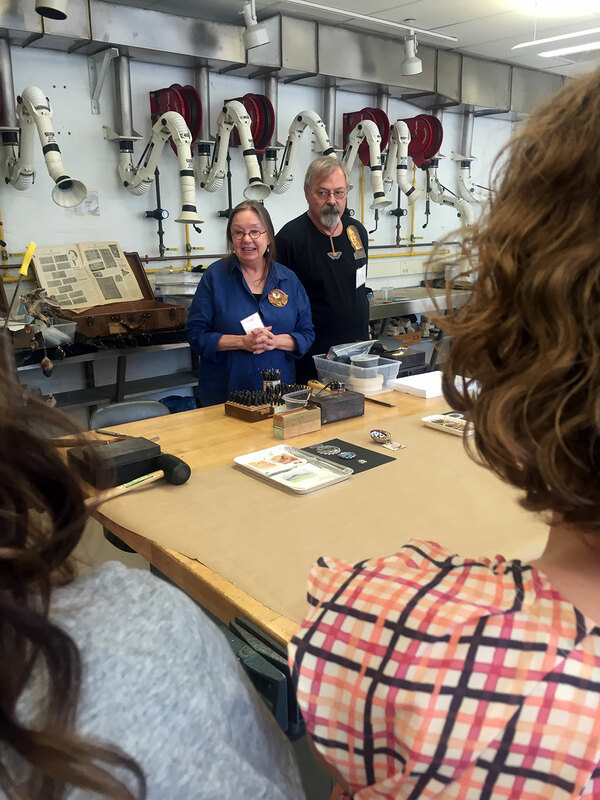 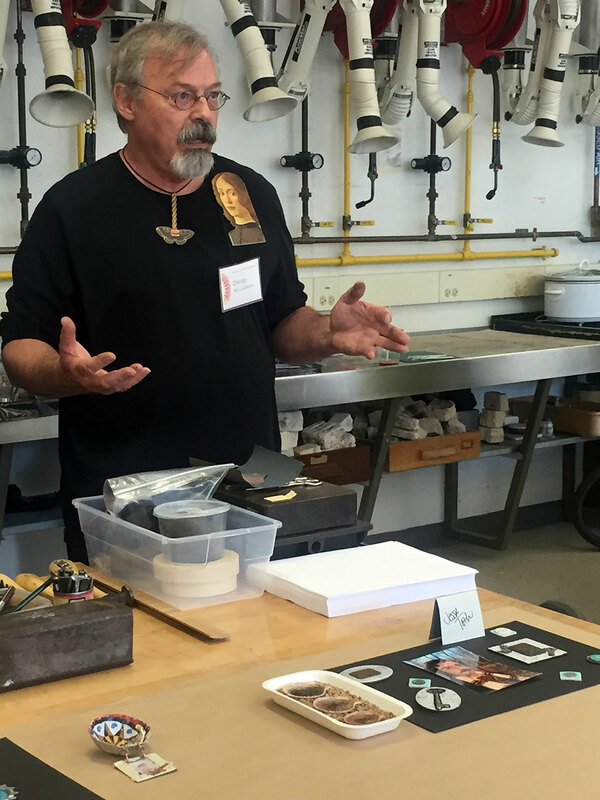 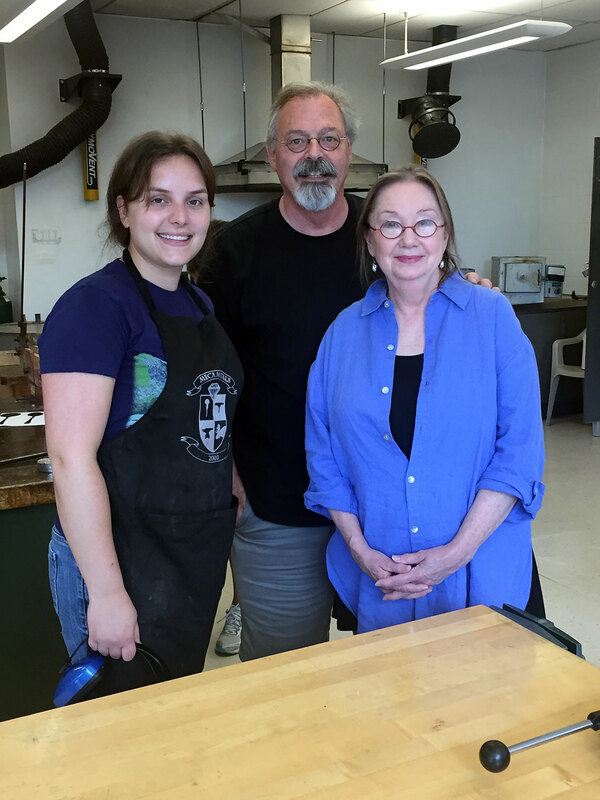 This 4.5 day workshop series provides opportunities for participants to work with craft mediums and processes taught by Craft in America artists, Randall Darwall & Brian Murphy, Chloe Darke, Jeff Oestreich, and Dave & Roberta Williamson. 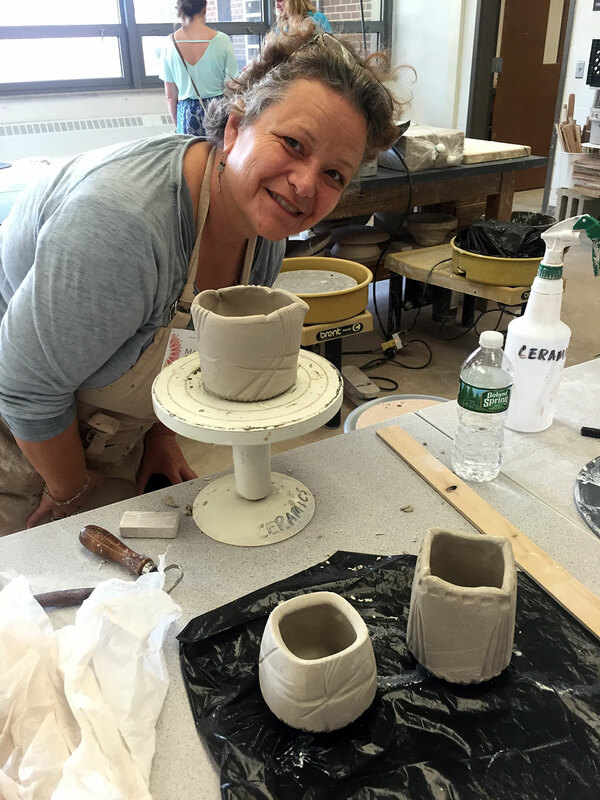 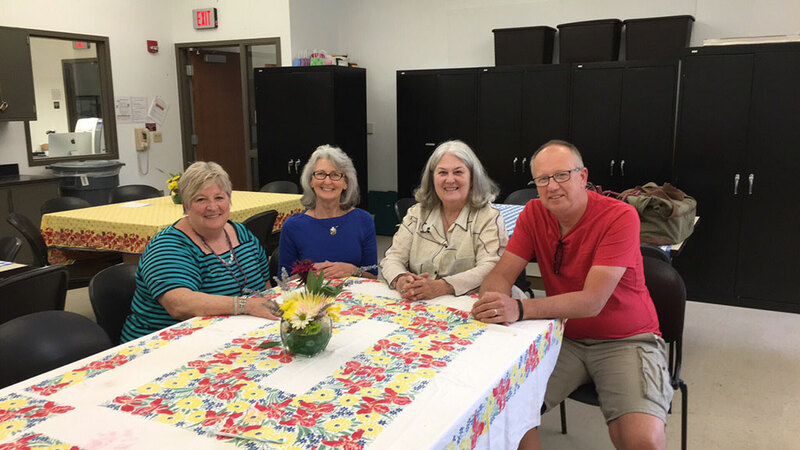 Check back for daily updates from Carol Sauvion! 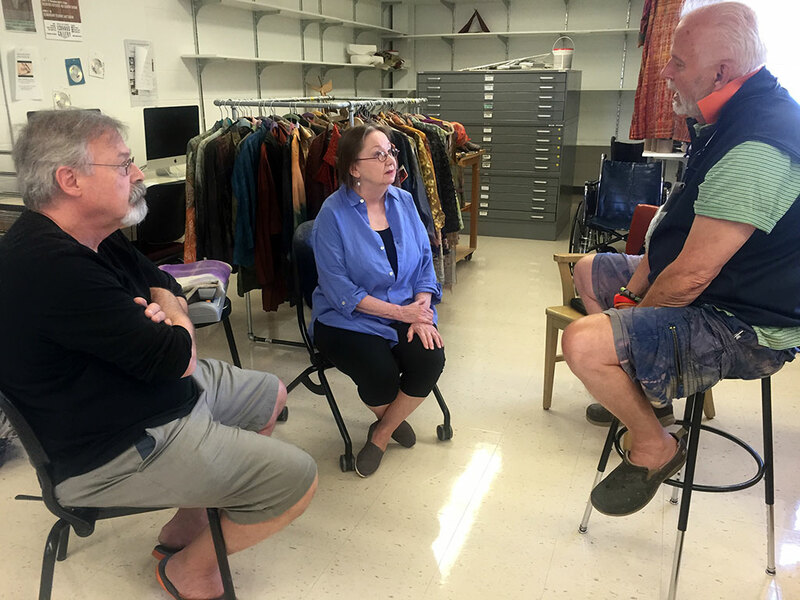 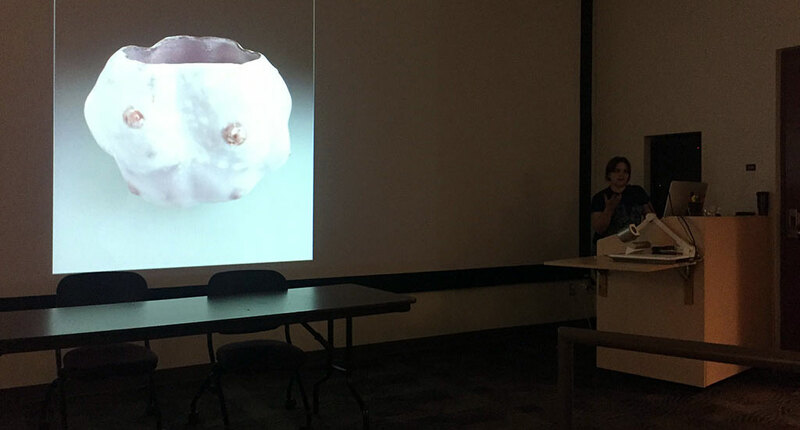 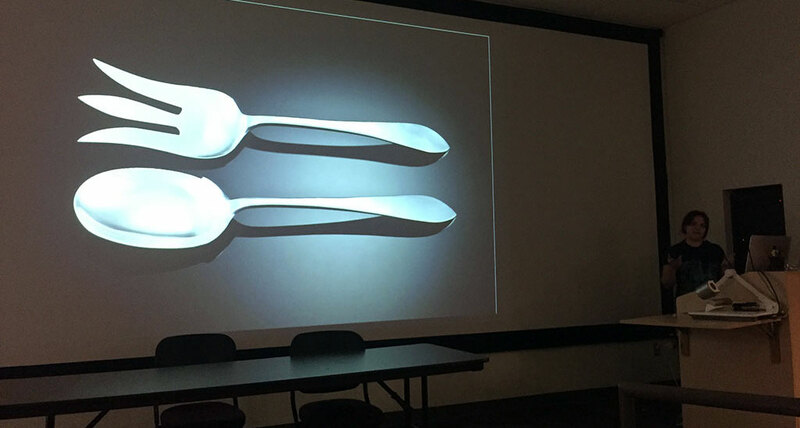 Nanette Seligman discusses her altered piece with Jeff Oestreich. 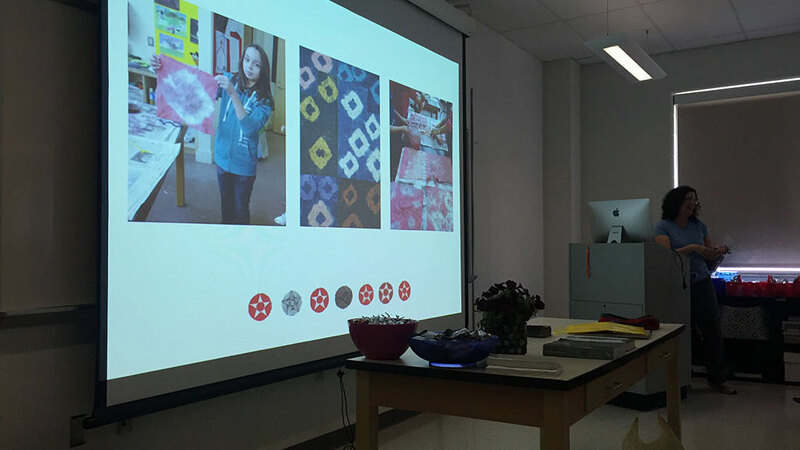 Chloe Darke speaks about her influences. 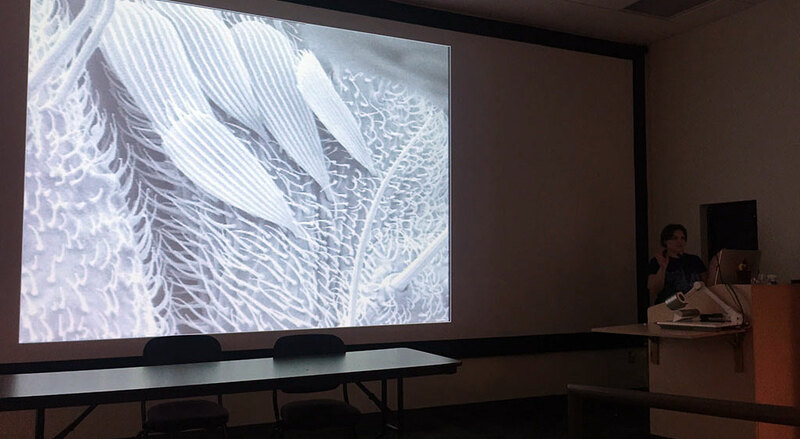 Here she shows an image of micro organisms in the body of a mosquito!